4 Louisiana Purchase Louisiana Purchase The opening of the show caught theatregoers off guard. It began with a lone woman on stage in the middle of a busy morning. 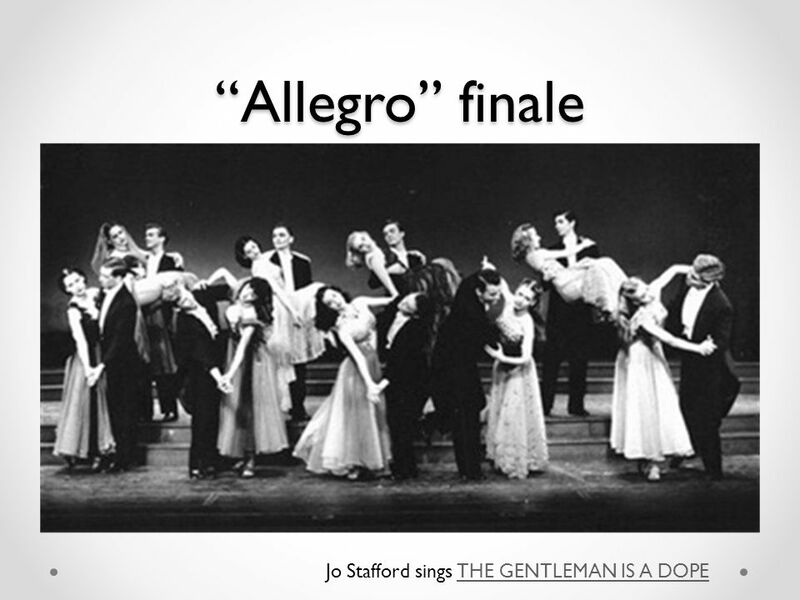 Moments later, a man came on to sing the opening number as a solo with no ensemble in sight. 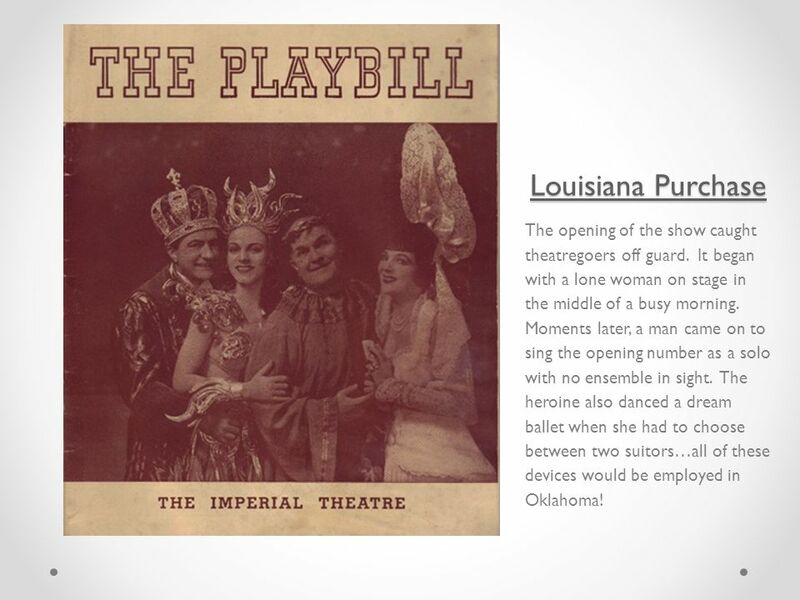 The heroine also danced a dream ballet when she had to choose between two suitors…all of these devices would be employed in Oklahoma! 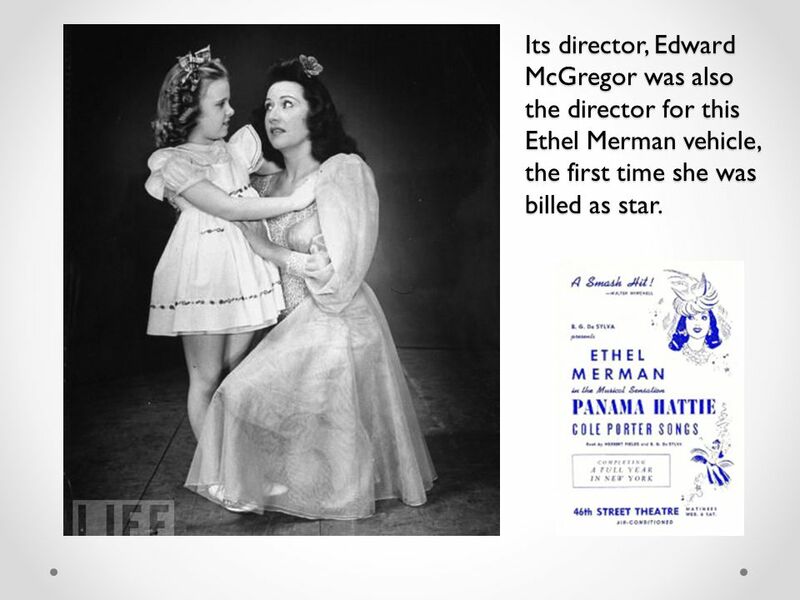 5 Its director, Edward McGregor was also the director for this Ethel Merman vehicle, the first time she was billed as star. 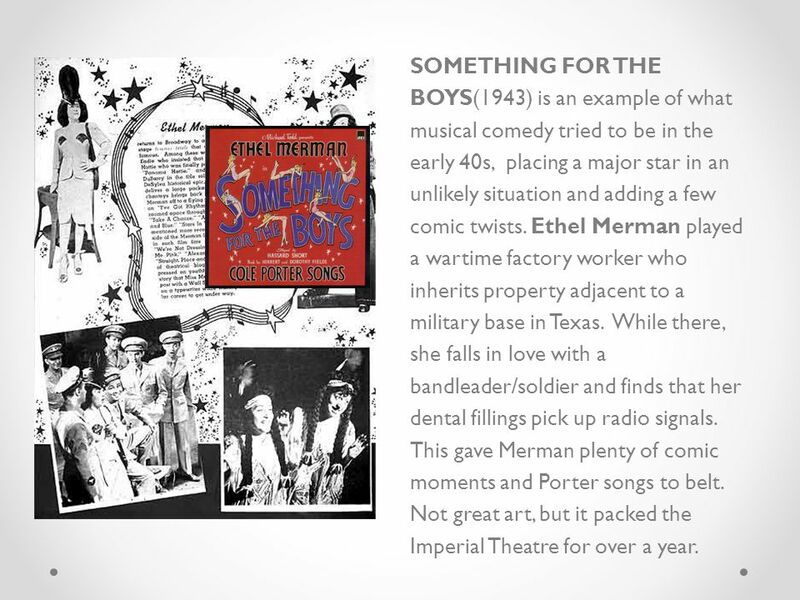 8 SOMETHING FOR THE BOYS(1943) is an example of what musical comedy tried to be in the early 40s, placing a major star in an unlikely situation and adding a few comic twists. 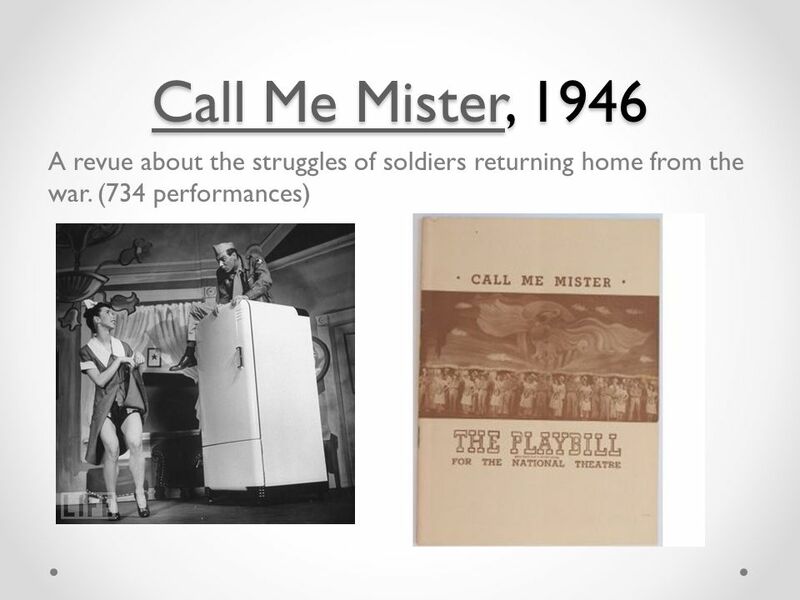 Ethel Merman played a wartime factory worker who inherits property adjacent to a military base in Texas. 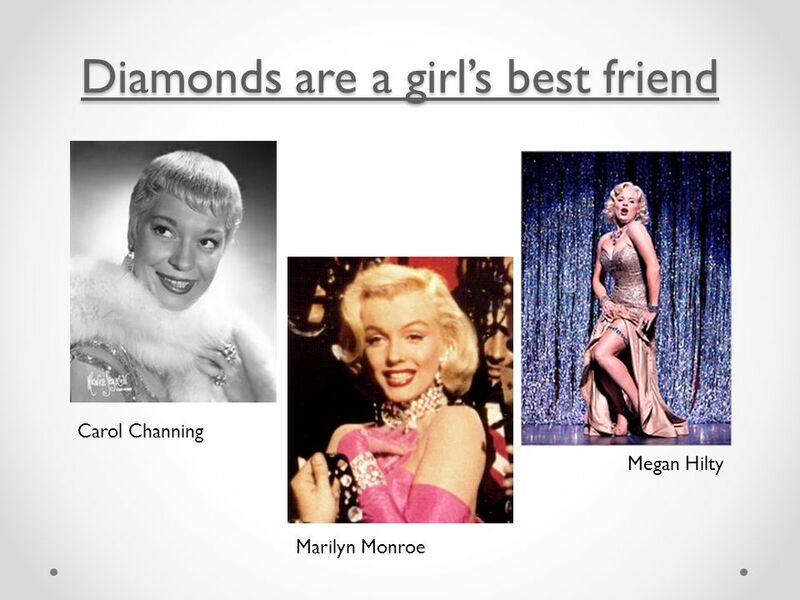 While there, she falls in love with a bandleader/soldier and finds that her dental fillings pick up radio signals. This gave Merman plenty of comic moments and Porter songs to belt. Not great art, but it packed the Imperial Theatre for over a year. 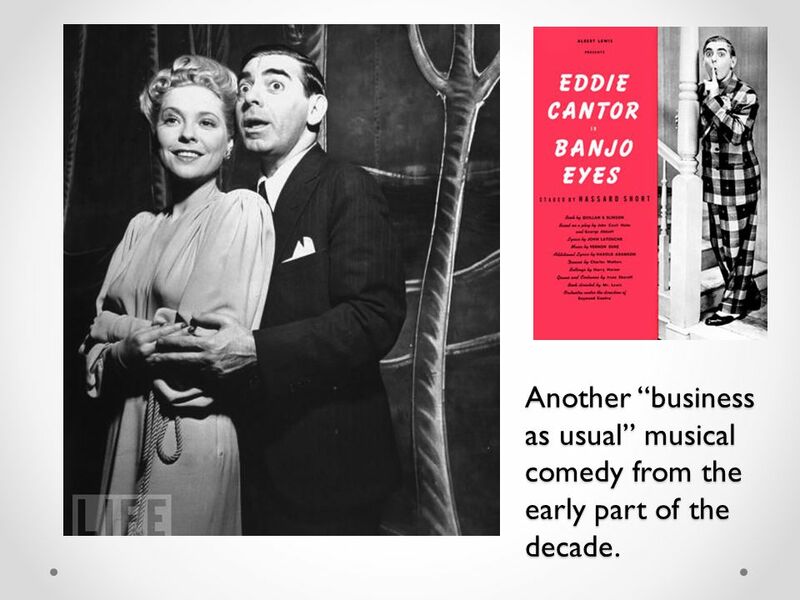 9 Another “business as usual” musical comedy from the early part of the decade. 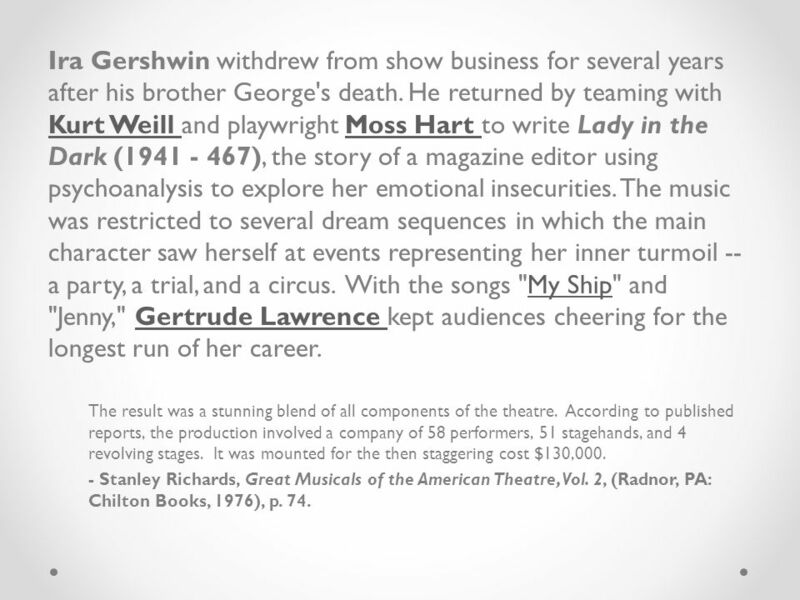 14 Ira Gershwin withdrew from show business for several years after his brother George's death. 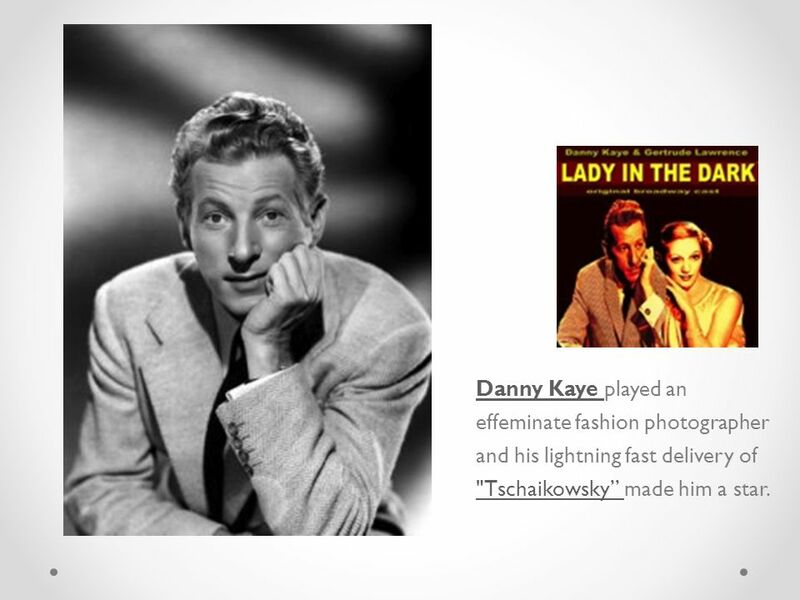 He returned by teaming with Kurt Weill and playwright Moss Hart to write Lady in the Dark (1941 - 467), the story of a magazine editor using psychoanalysis to explore her emotional insecurities. 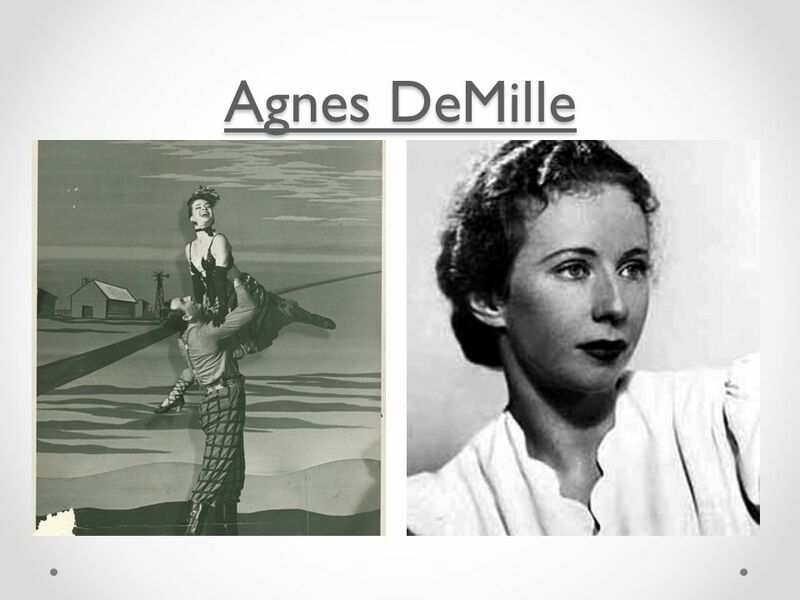 The music was restricted to several dream sequences in which the main character saw herself at events representing her inner turmoil -- a party, a trial, and a circus. 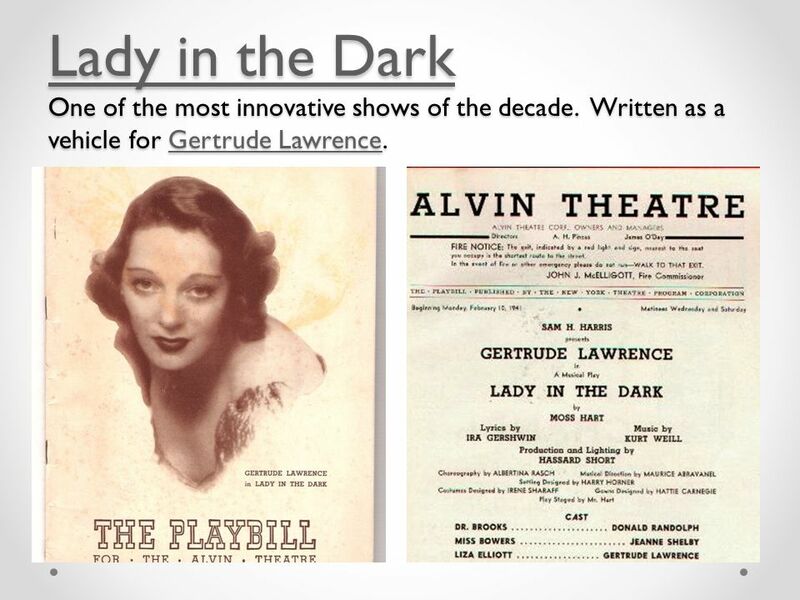 With the songs "My Ship" and "Jenny," Gertrude Lawrence kept audiences cheering for the longest run of her career. 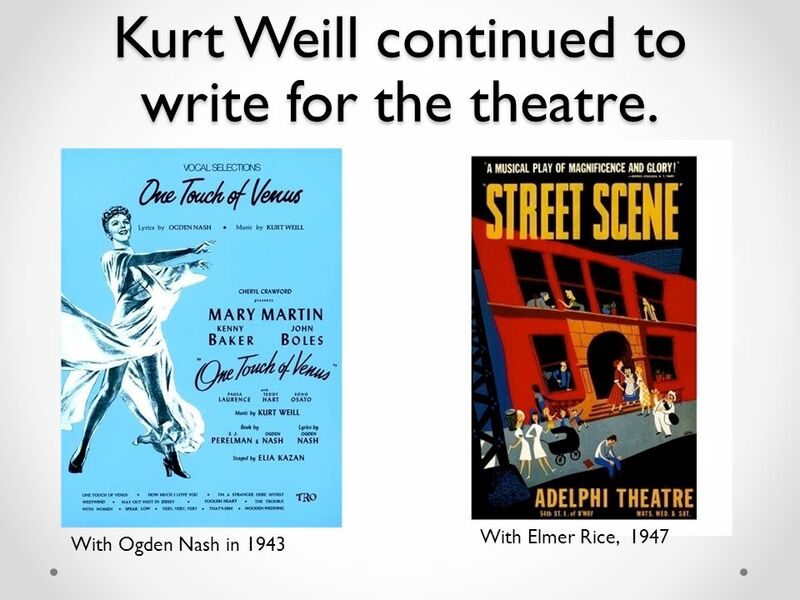 Kurt Weill Moss Hart My ShipGertrude Lawrence The result was a stunning blend of all components of the theatre. 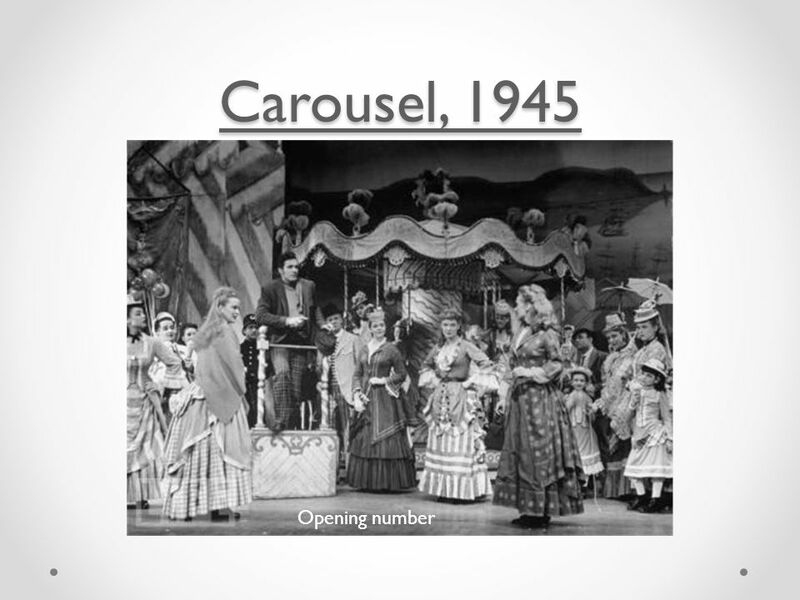 According to published reports, the production involved a company of 58 performers, 51 stagehands, and 4 revolving stages. It was mounted for the then staggering cost $130,000. 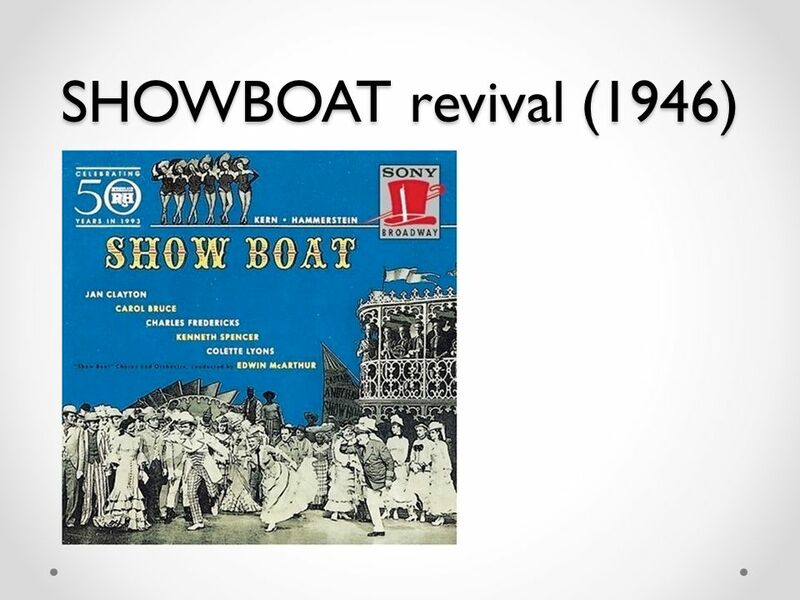 - Stanley Richards, Great Musicals of the American Theatre, Vol. 2, (Radnor, PA: Chilton Books, 1976), p. 74. 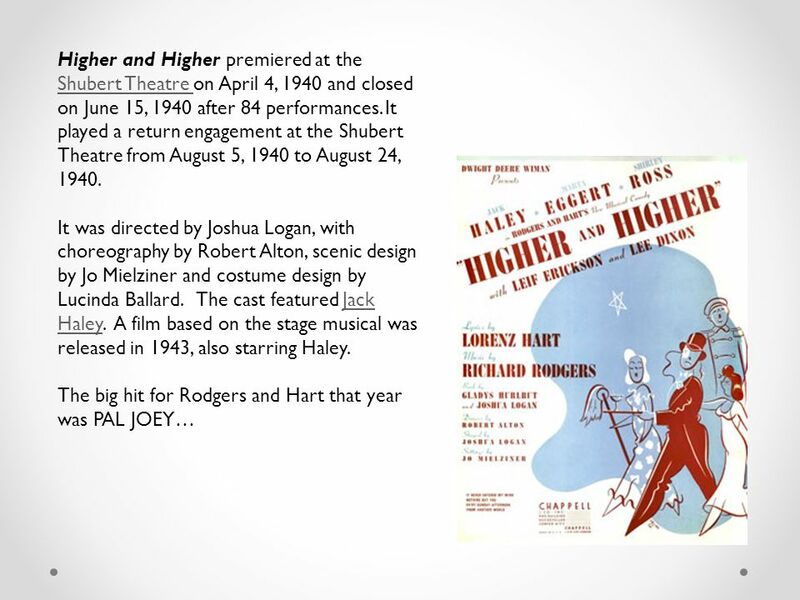 18 Richard Rodgers Richard Rodgers and Lorenz Hart took some creative risks with Pal Joey (374 perf. 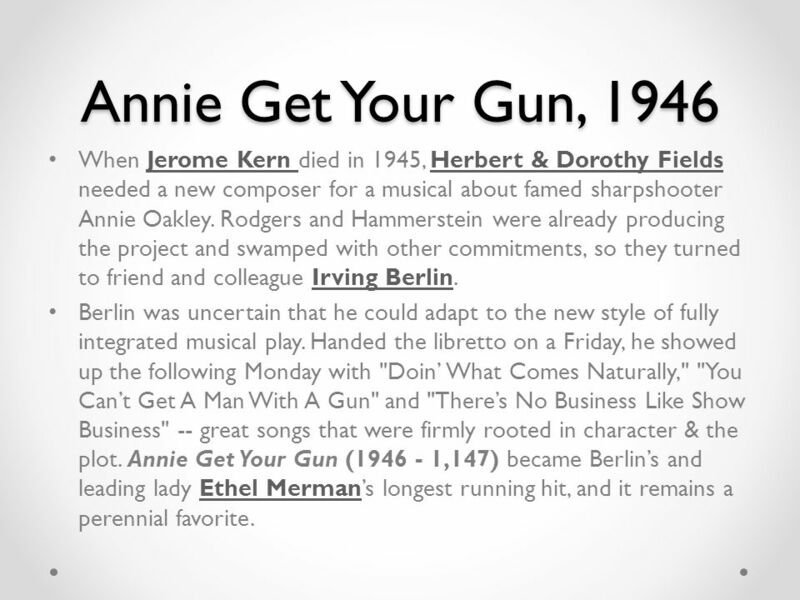 ), Broadway's first musical to center on an anti-hero. The title character is a sleazy nightclub hoofer who hustles his way to success by manipulating a wealthy mistress, only to lose everything when she dumps him. 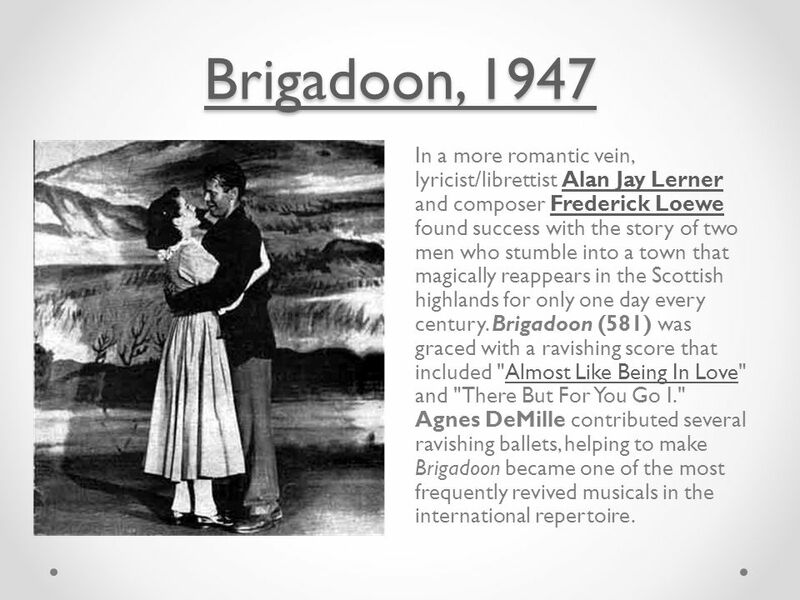 The score ranged from the innocent romance of "I Could Write A Book" to the sexual bite of "Bewitched, Bothered and Bewildered." 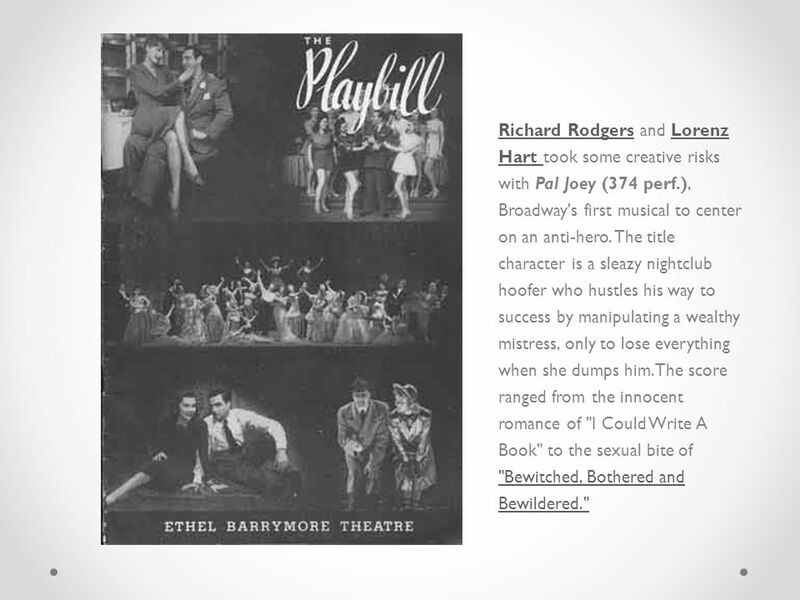 Lorenz Hart "Bewitched, Bothered and Bewildered." 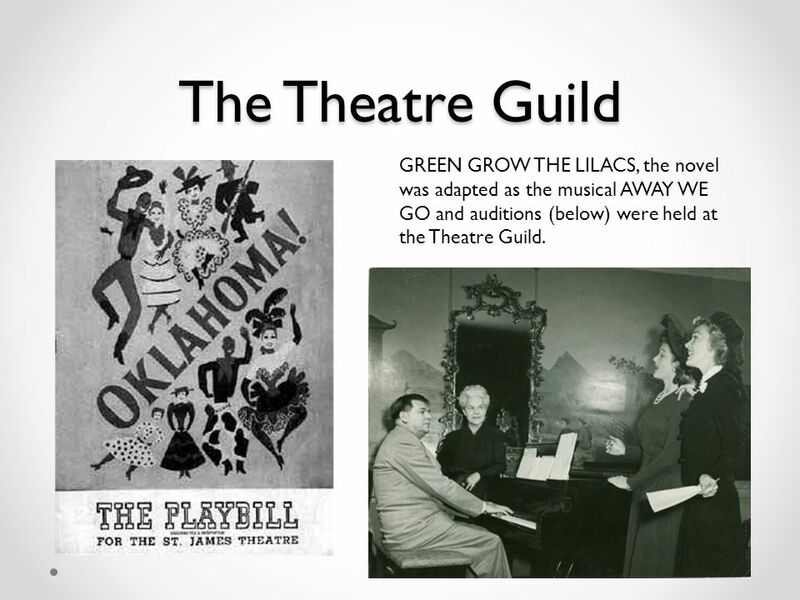 25 The Theatre Guild GREEN GROW THE LILACS, the novel was adapted as the musical AWAY WE GO and auditions (below) were held at the Theatre Guild. 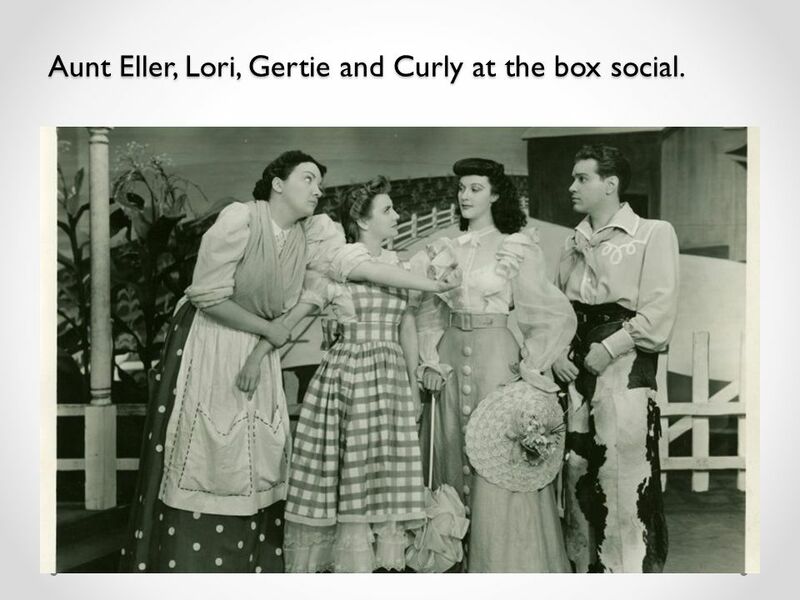 26 Aunt Eller, Lori, Gertie and Curly at the box social. 33 "Many a New Day" The day after Oklahoma! 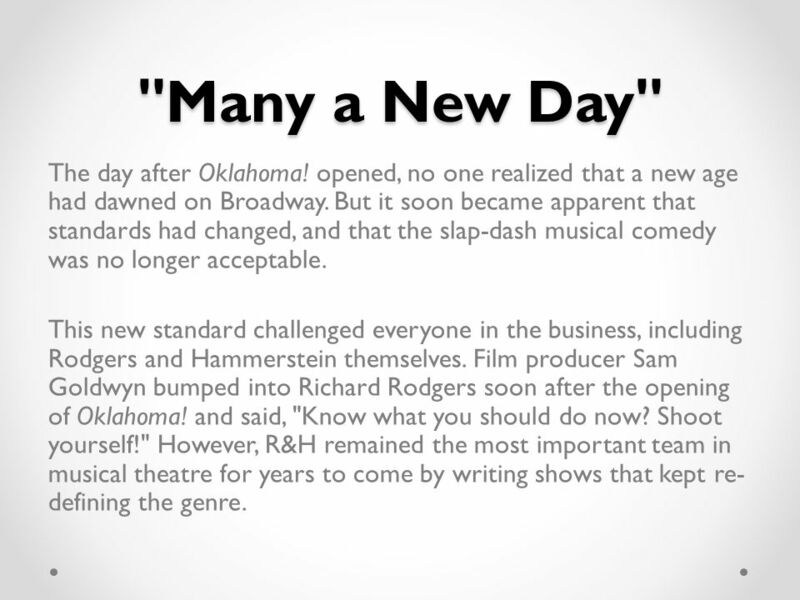 opened, no one realized that a new age had dawned on Broadway. But it soon became apparent that standards had changed, and that the slap-dash musical comedy was no longer acceptable. 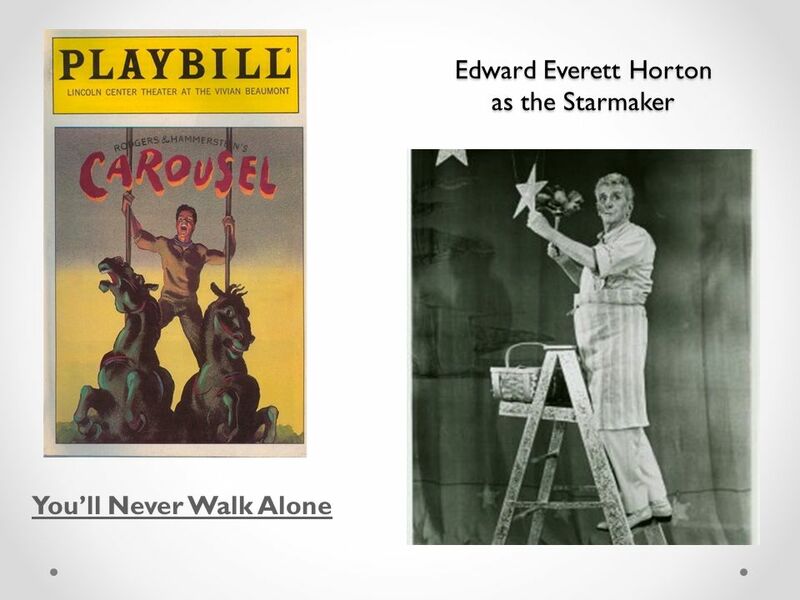 This new standard challenged everyone in the business, including Rodgers and Hammerstein themselves. 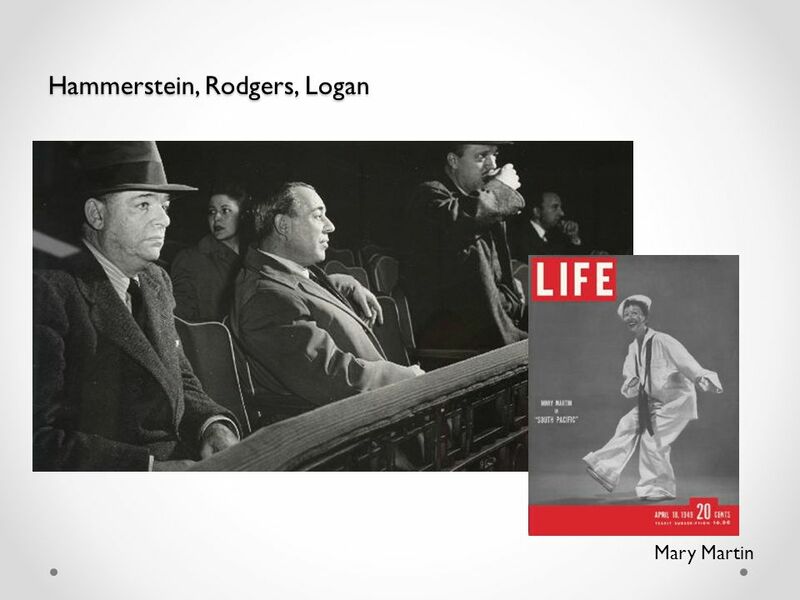 Film producer Sam Goldwyn bumped into Richard Rodgers soon after the opening of Oklahoma! and said, "Know what you should do now? Shoot yourself!" 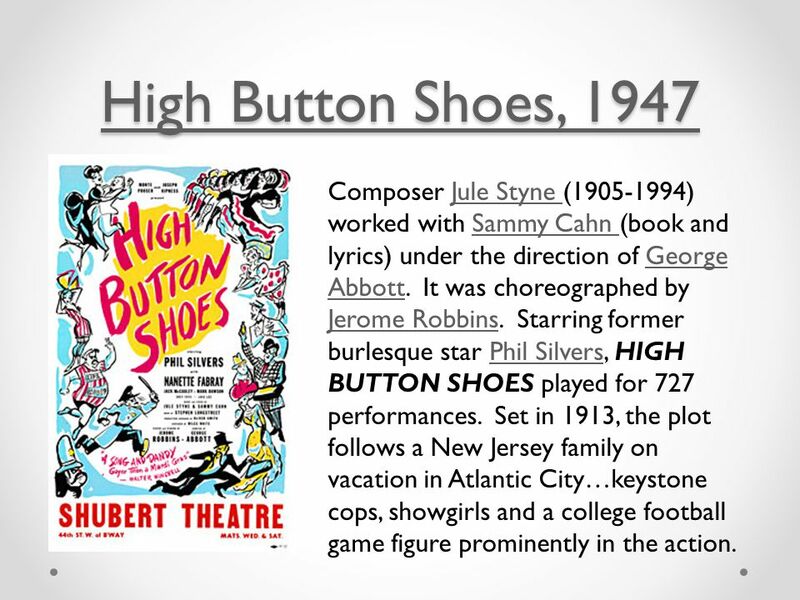 However, R&H remained the most important team in musical theatre for years to come by writing shows that kept re- defining the genre. 34 Carmen Jones Carmen Jones (1943) Carmen Jones Immediately after Oklahoma, the two men worked apart for a short time. 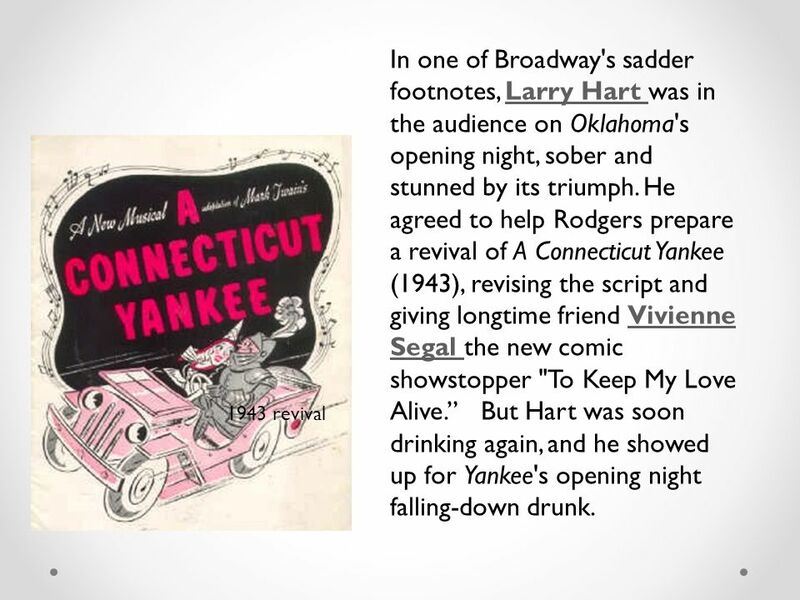 While Rodgers worked on the wartime revival of A Connecticut Yankee, Hammerstein concentrated on updating the libretto of Bizet's opera Carmen while leaving the music in its original form. The classic tale of a fiery factory girl who inspires a naive soldier to give up everything for the sake of their passion was reset in the American South with an African-American cast. 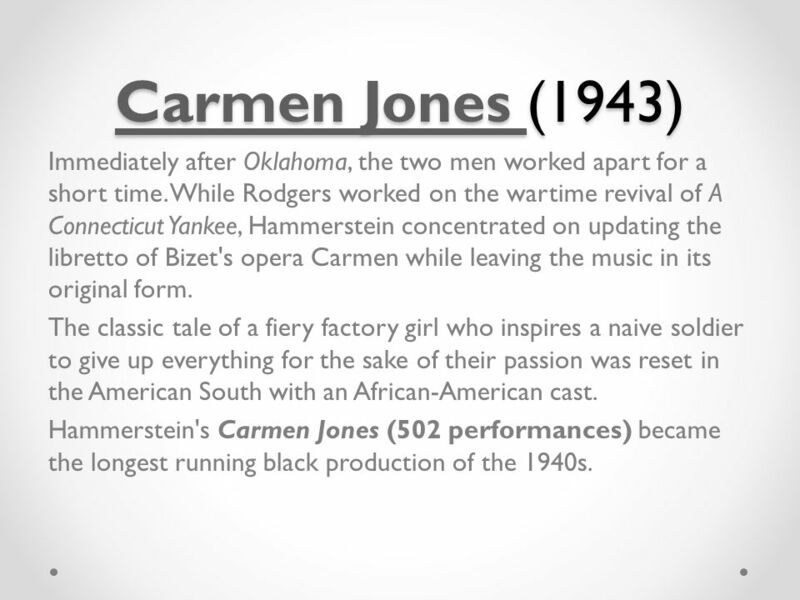 Hammerstein's Carmen Jones (502 performances) became the longest running black production of the 1940s. 36 During the second act, he started singing along from the rear of the theatre and was ejected. 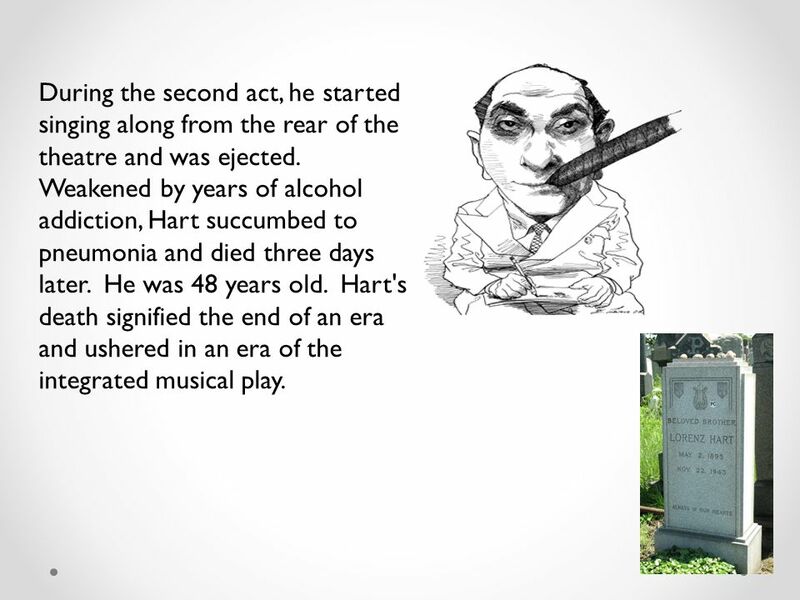 Weakened by years of alcohol addiction, Hart succumbed to pneumonia and died three days later. He was 48 years old. 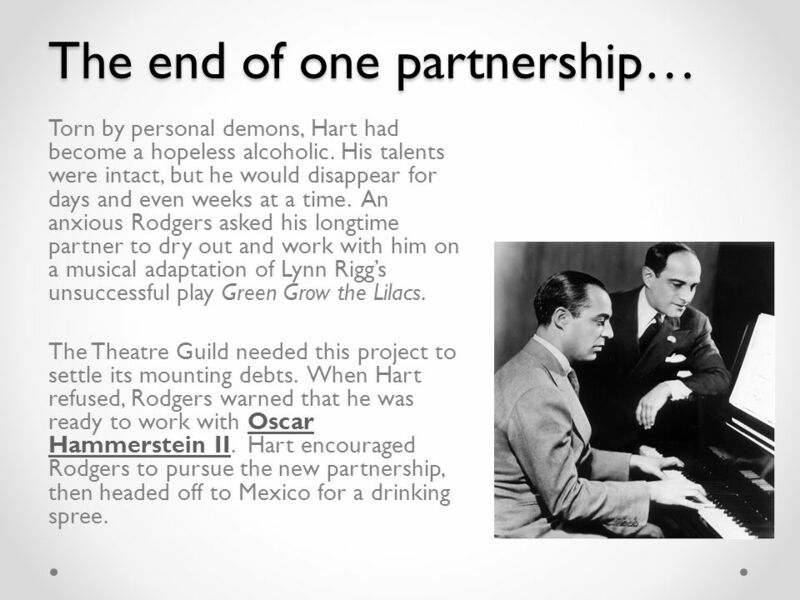 Hart's death signified the end of an era and ushered in an era of the integrated musical play. 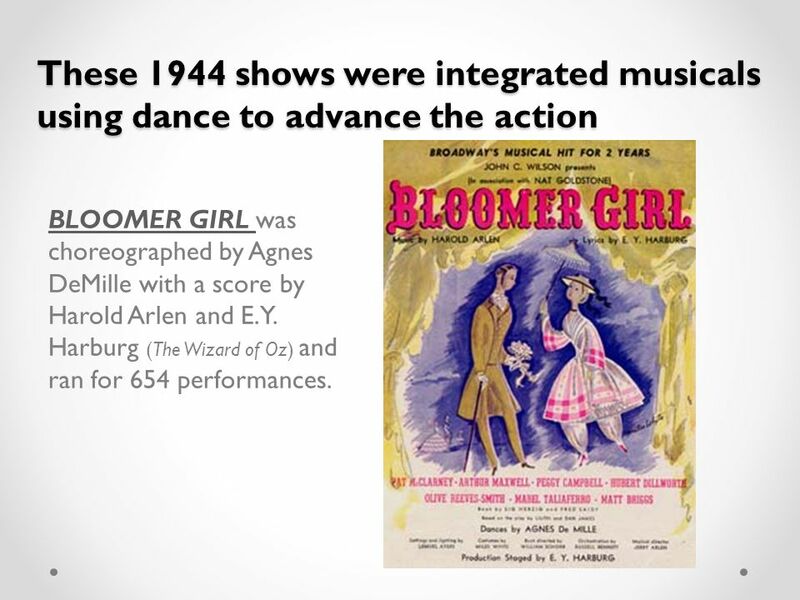 45 These 1944 shows were integrated musicals using dance to advance the action BLOOMER GIRL BLOOMER GIRL was choreographed by Agnes DeMille with a score by Harold Arlen and E.Y. 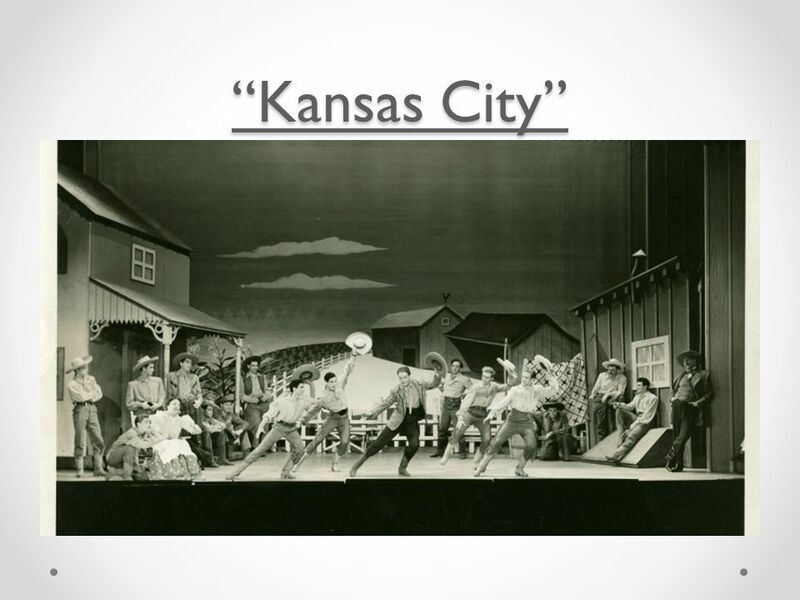 Harburg (The Wizard of Oz) and ran for 654 performances. 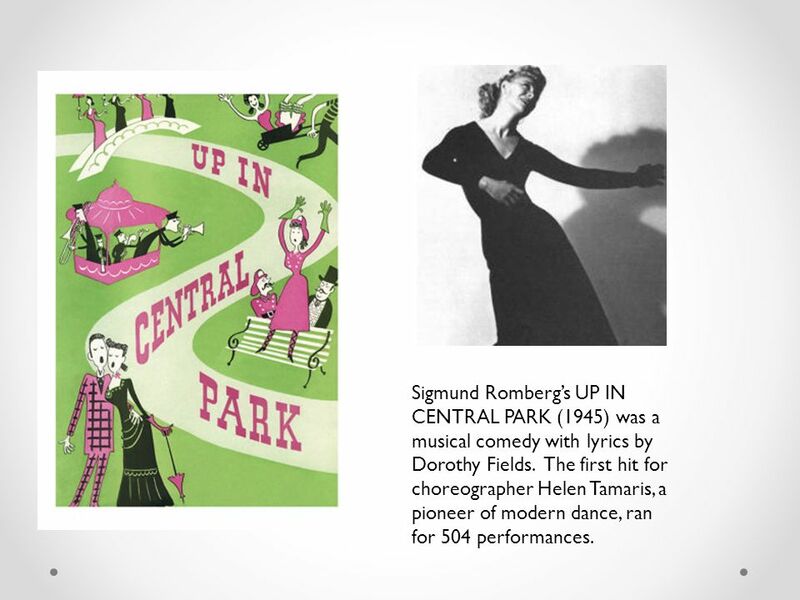 50 Sigmund Romberg’s UP IN CENTRAL PARK (1945) was a musical comedy with lyrics by Dorothy Fields. The first hit for choreographer Helen Tamaris, a pioneer of modern dance, ran for 504 performances. 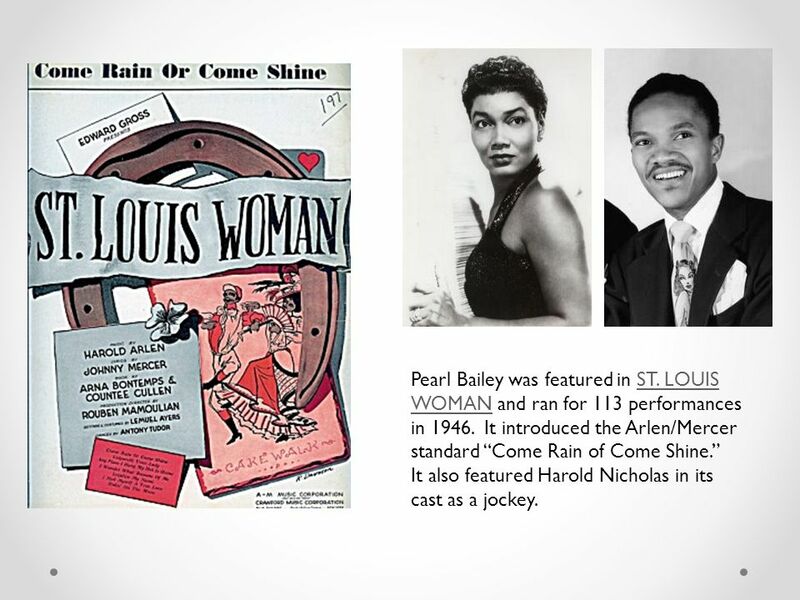 51 Pearl Bailey was featured in ST. LOUISST. 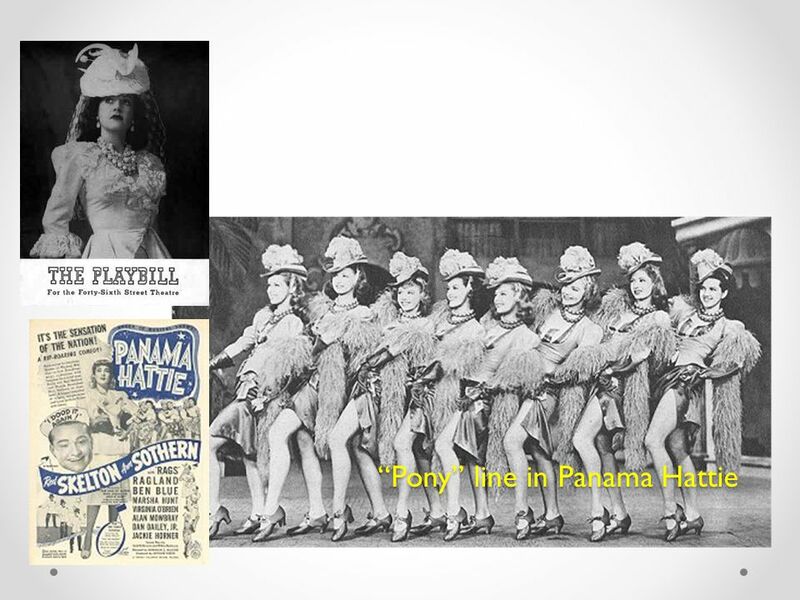 LOUIS WOMANWOMAN and ran for 113 performances in 1946. 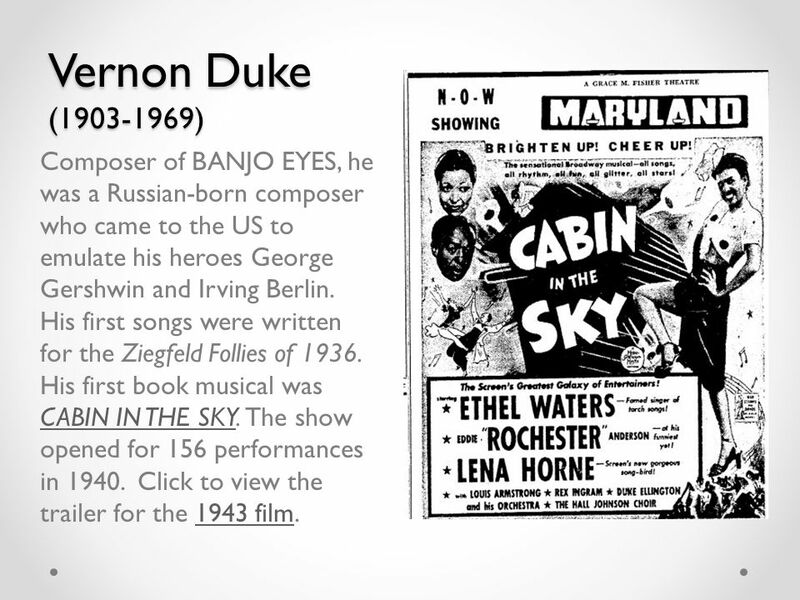 It introduced the Arlen/Mercer standard “Come Rain of Come Shine.” It also featured Harold Nicholas in its cast as a jockey. 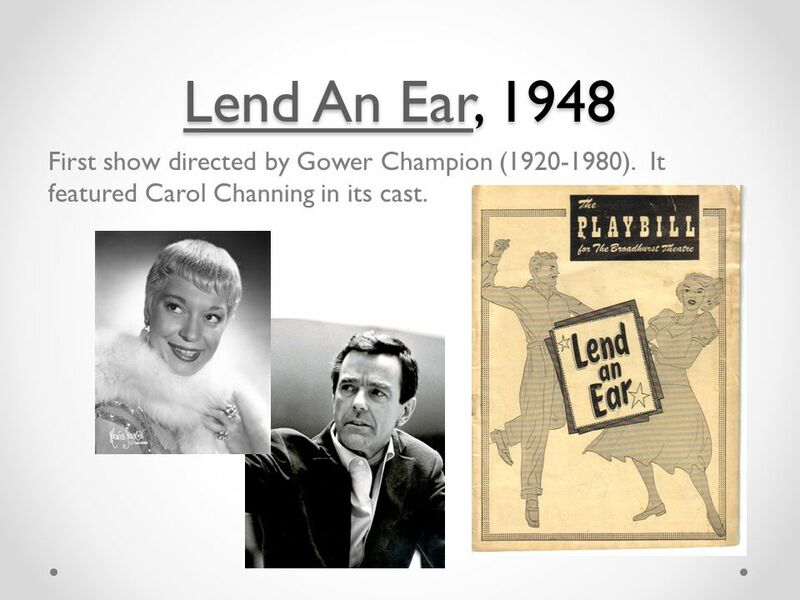 54 Lend An EarLend An Ear, 1948 Lend An Ear First show directed by Gower Champion (1920-1980). 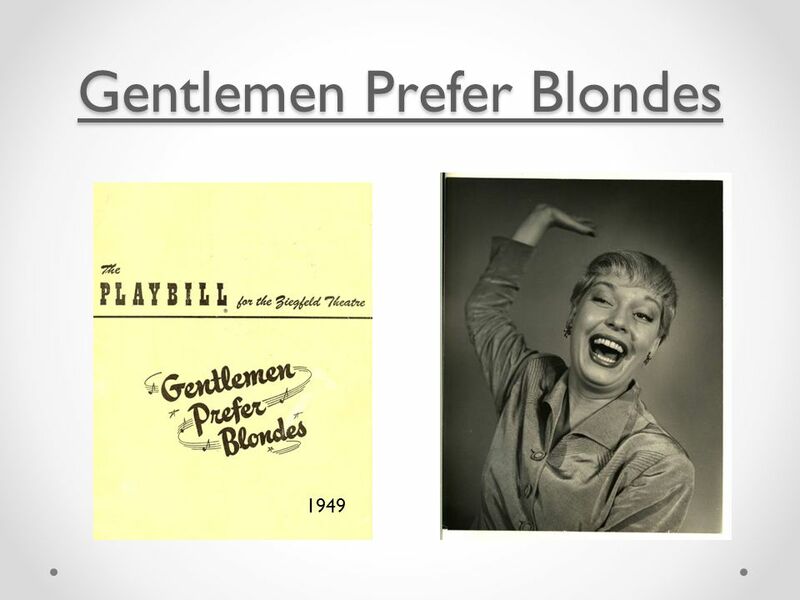 It featured Carol Channing in its cast. 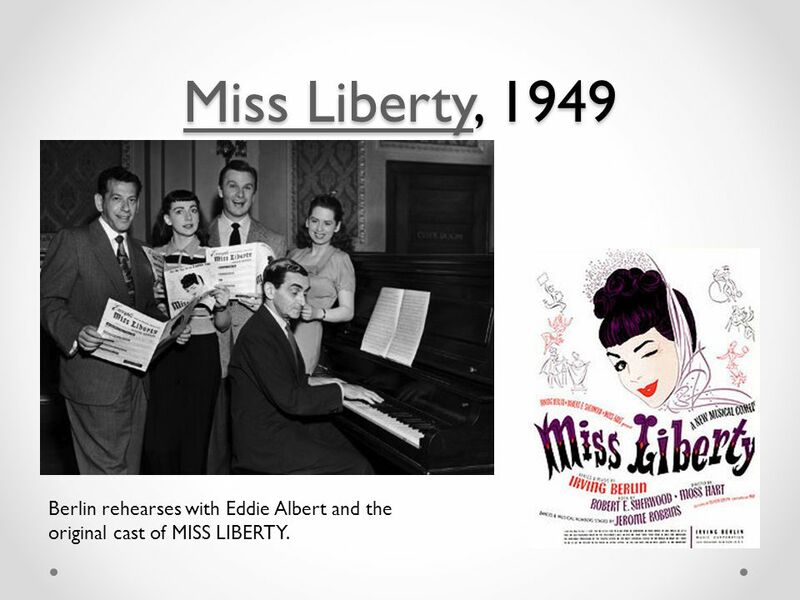 58 Miss LibertyMiss Liberty, 1949 Miss Liberty Berlin rehearses with Eddie Albert and the original cast of MISS LIBERTY. 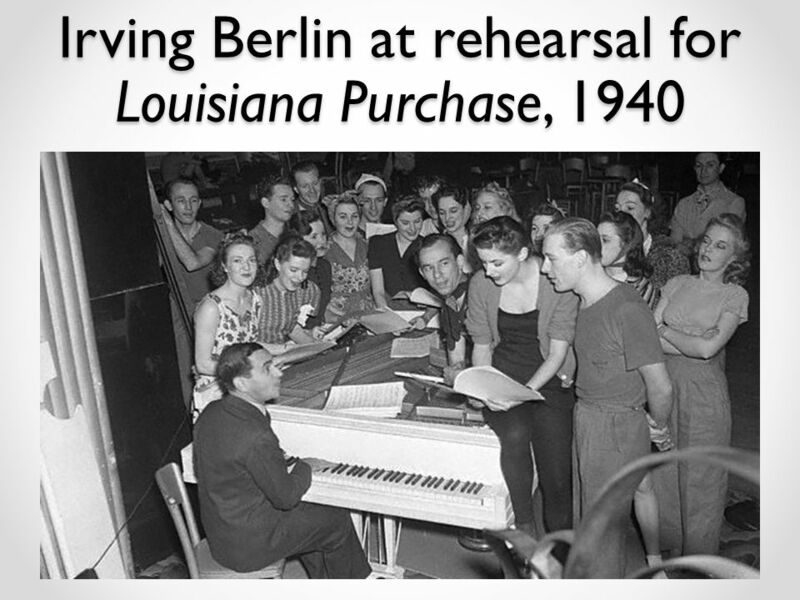 60 If Berlin was nervous about writing the R&H type of musical, Cole Porter was petrified at the prospect. 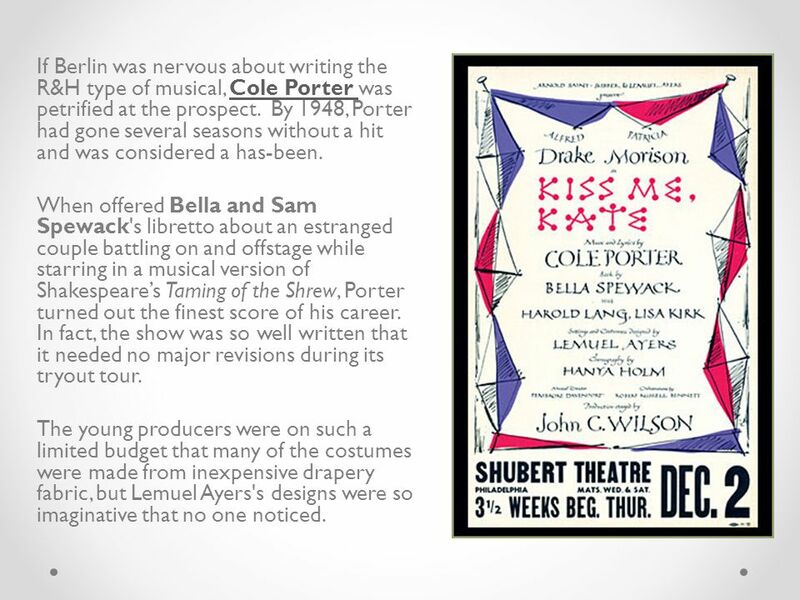 By 1948, Porter had gone several seasons without a hit and was considered a has-been.Cole Porter When offered Bella and Sam Spewack's libretto about an estranged couple battling on and offstage while starring in a musical version of Shakespeare’s Taming of the Shrew, Porter turned out the finest score of his career. In fact, the show was so well written that it needed no major revisions during its tryout tour. The young producers were on such a limited budget that many of the costumes were made from inexpensive drapery fabric, but Lemuel Ayers's designs were so imaginative that no one noticed. 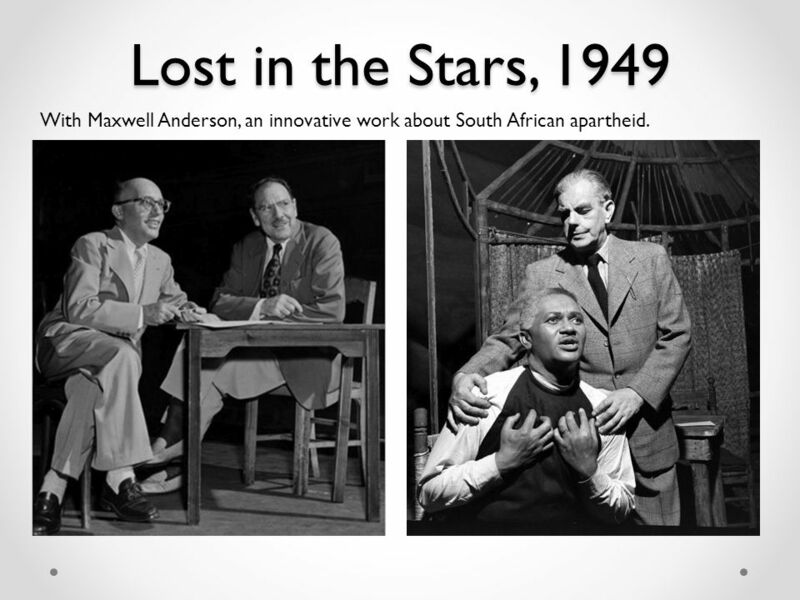 62 Lost in the Stars, 1949 With Maxwell Anderson, an innovative work about South African apartheid. 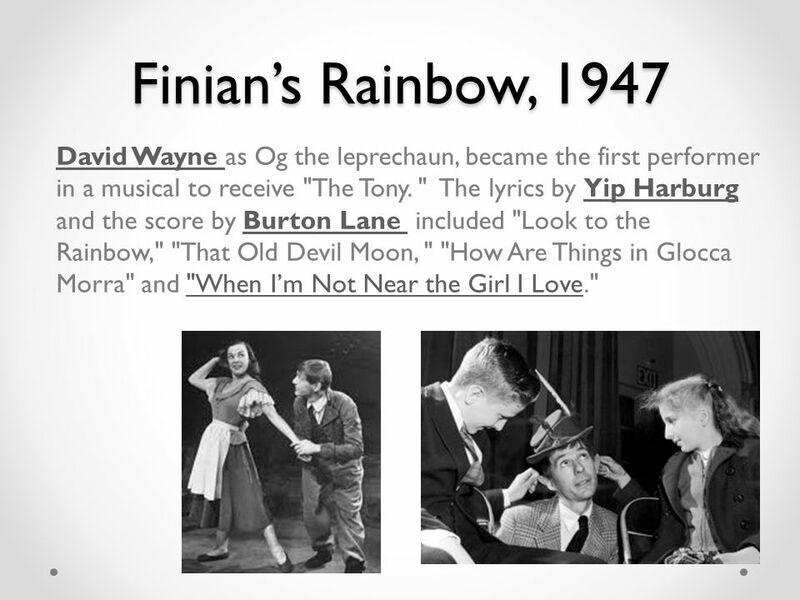 63 Finian’s Rainbow, 1947 Finian’s Rainbow, 1947 Finian's Rainbow (725) was an integrated musical that tackled racism as social satire. 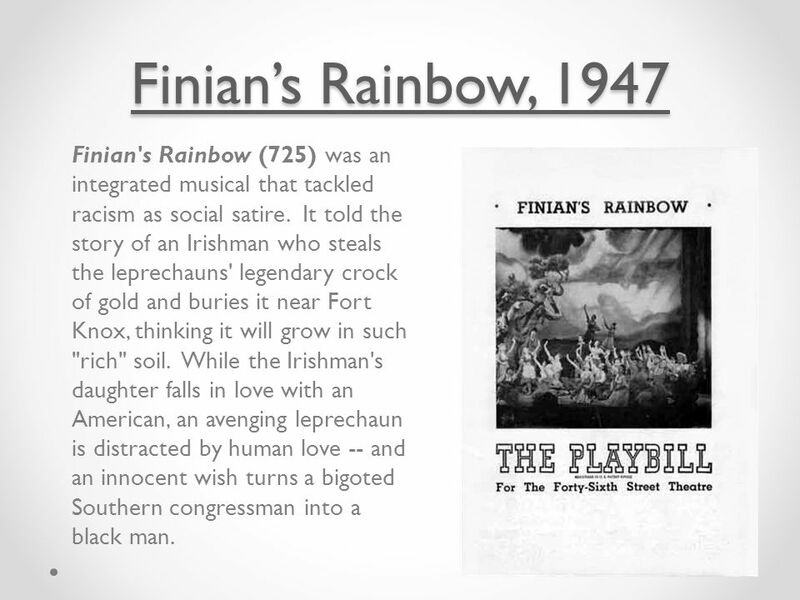 It told the story of an Irishman who steals the leprechauns' legendary crock of gold and buries it near Fort Knox, thinking it will grow in such "rich" soil. While the Irishman's daughter falls in love with an American, an avenging leprechaun is distracted by human love -- and an innocent wish turns a bigoted Southern congressman into a black man. 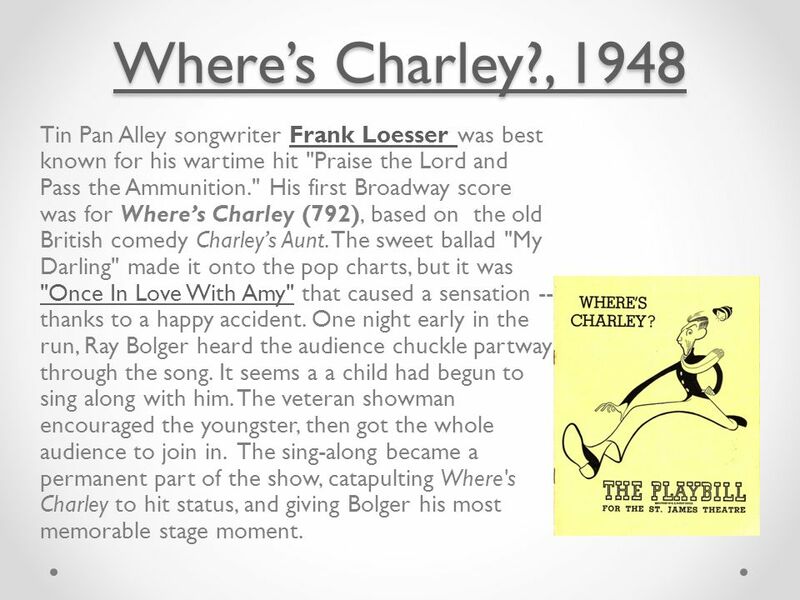 66 Where’s Charley?, 1948 Where’s Charley?, 1948 Tin Pan Alley songwriter Frank Loesser was best known for his wartime hit "Praise the Lord and Pass the Ammunition." His first Broadway score was for Where’s Charley (792), based on the old British comedy Charley’s Aunt. The sweet ballad "My Darling" made it onto the pop charts, but it was "Once In Love With Amy" that caused a sensation -- thanks to a happy accident. 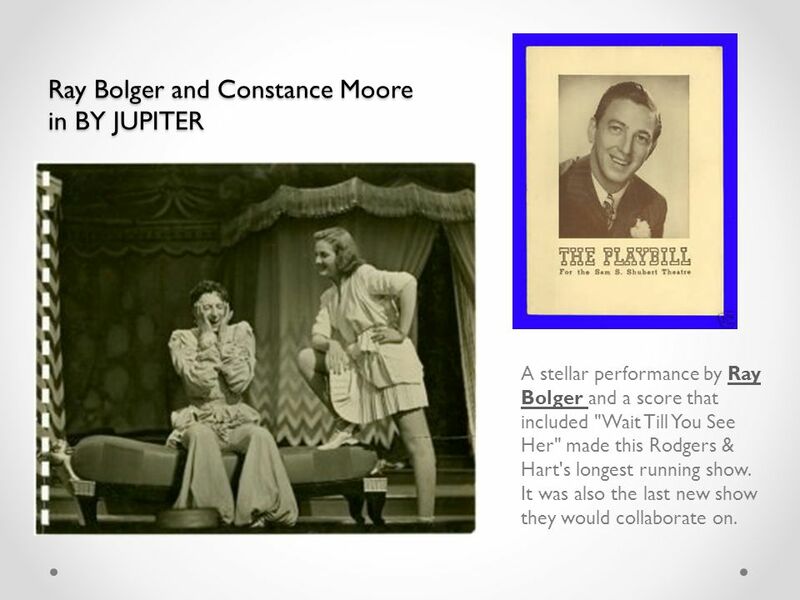 One night early in the run, Ray Bolger heard the audience chuckle partway through the song. It seems a a child had begun to sing along with him. The veteran showman encouraged the youngster, then got the whole audience to join in. 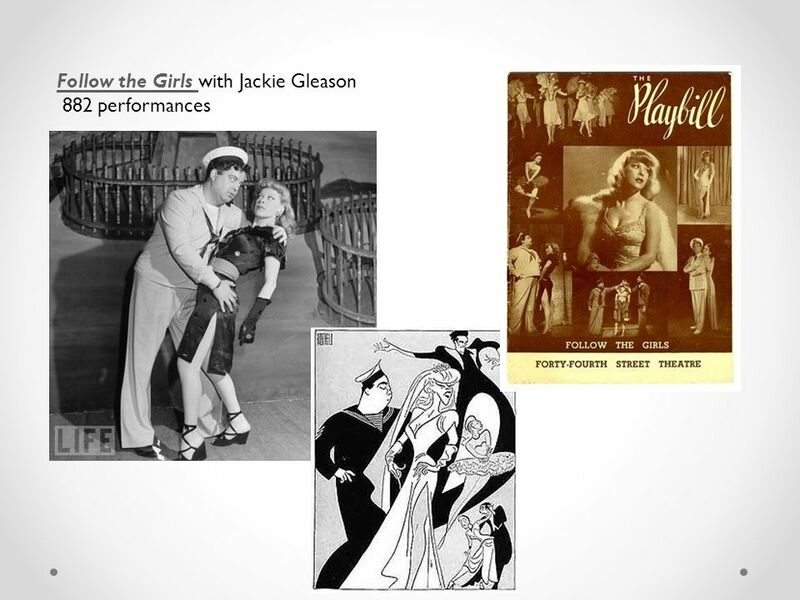 The sing-along became a permanent part of the show, catapulting Where's Charley to hit status, and giving Bolger his most memorable stage moment.Frank Loesser "Once In Love With Amy"
70 The 1940s in London Few London productions of 1940s drew much attention outside of Britain, but the West End had its share of homegrown musicals. 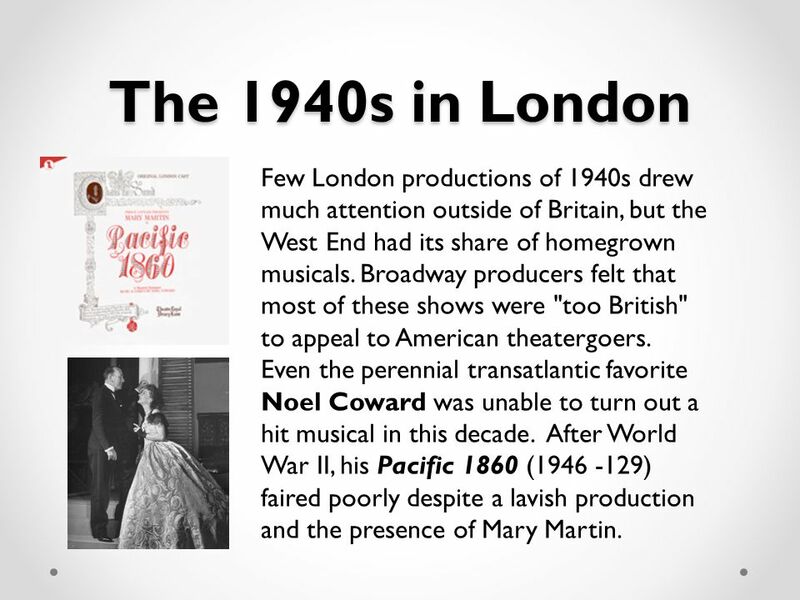 Broadway producers felt that most of these shows were "too British" to appeal to American theatergoers. 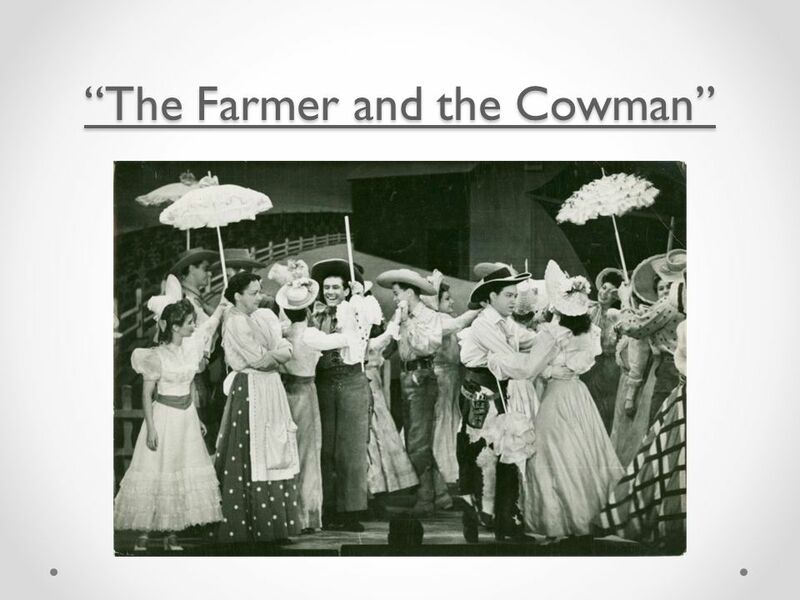 Even the perennial transatlantic favorite Noel Coward was unable to turn out a hit musical in this decade. 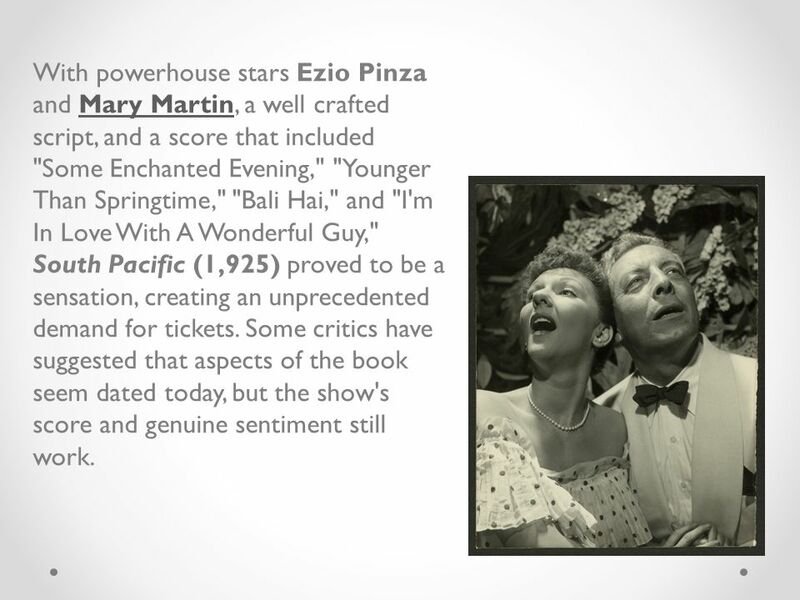 After World War II, his Pacific 1860 (1946 -129) faired poorly despite a lavish production and the presence of Mary Martin. 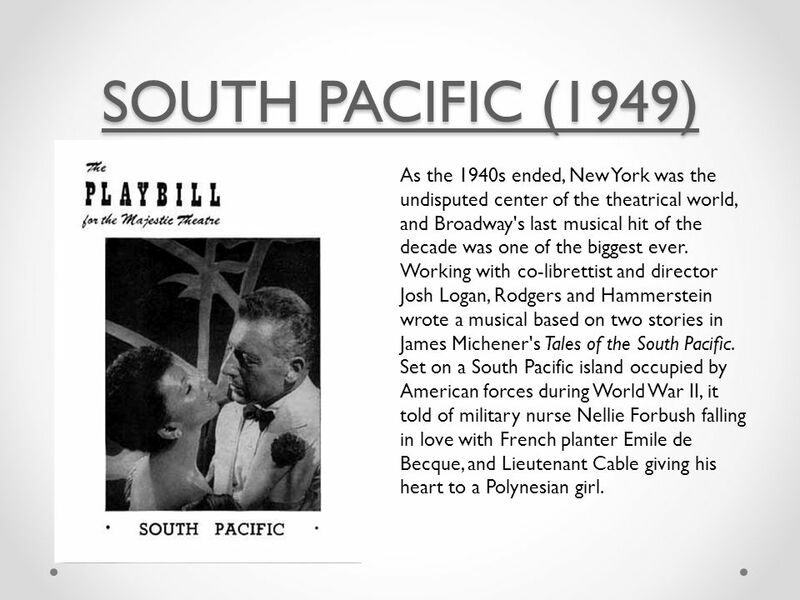 72 SOUTH PACIFIC (1949) SOUTH PACIFIC (1949) As the 1940s ended, New York was the undisputed center of the theatrical world, and Broadway's last musical hit of the decade was one of the biggest ever. 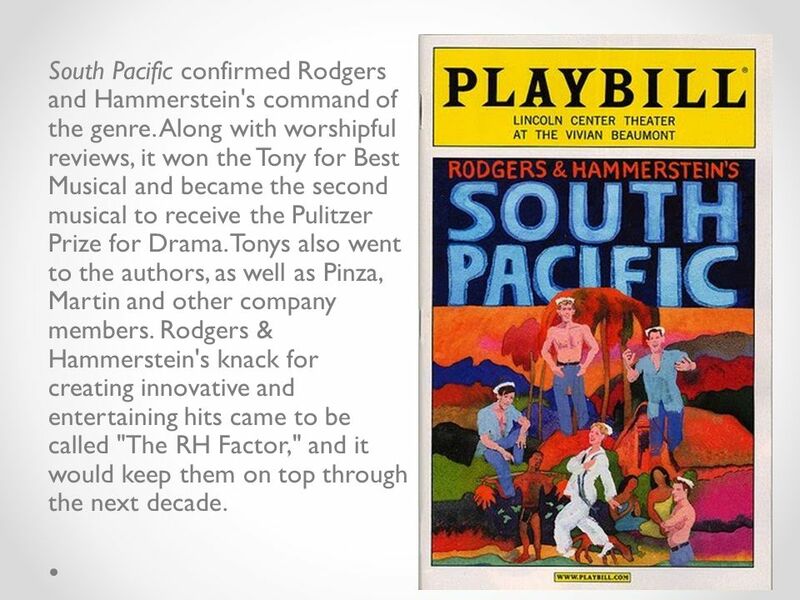 Working with co-librettist and director Josh Logan, Rodgers and Hammerstein wrote a musical based on two stories in James Michener's Tales of the South Pacific. Set on a South Pacific island occupied by American forces during World War II, it told of military nurse Nellie Forbush falling in love with French planter Emile de Becque, and Lieutenant Cable giving his heart to a Polynesian girl. 73 These two "decent" Americans are forced to confront the bigotry they were raised with. 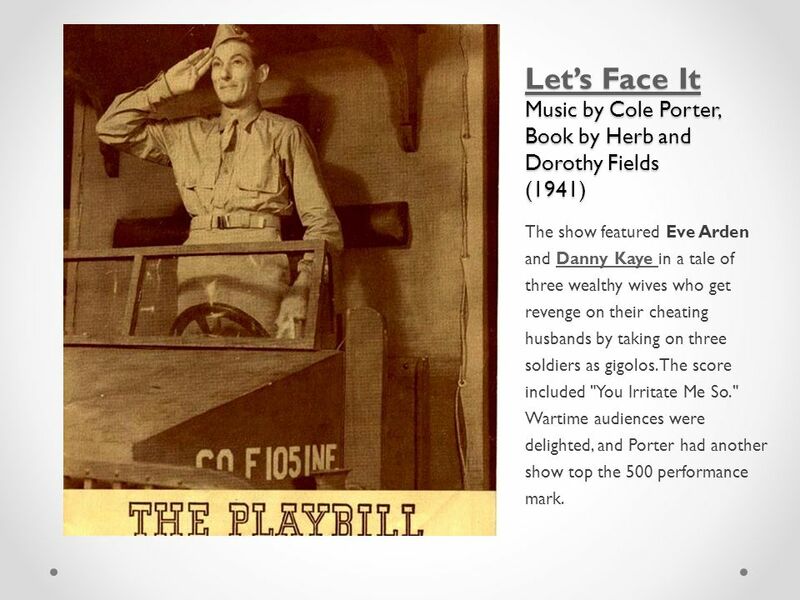 Set amid the life and death tensions of wartime, it was a world away from the musical comedy librettos that had reigned on Broadway less than ten years before. 75 South Pacific was unusual in many ways. There was almost no dance, two equally important love stories, and the dramatic tension was not provided by any single antagonist or "silly misunderstanding." 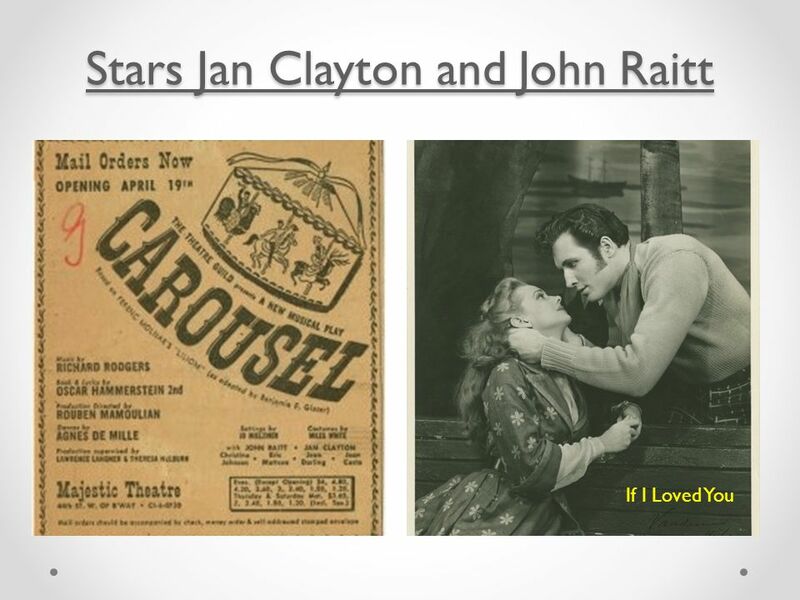 Both love stories were thwarted by "carefully taught" racial prejudices. These reflex hatreds drive key characters to push away from the people they love. 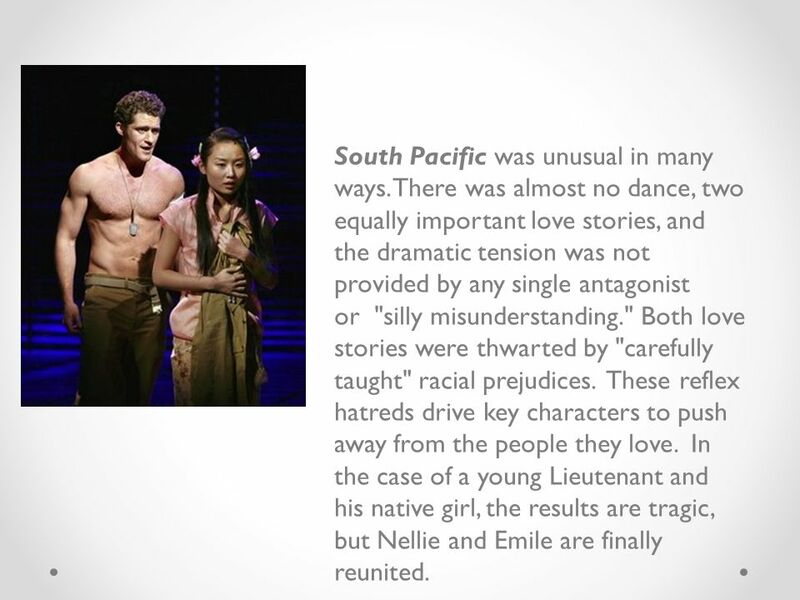 In the case of a young Lieutenant and his native girl, the results are tragic, but Nellie and Emile are finally reunited. 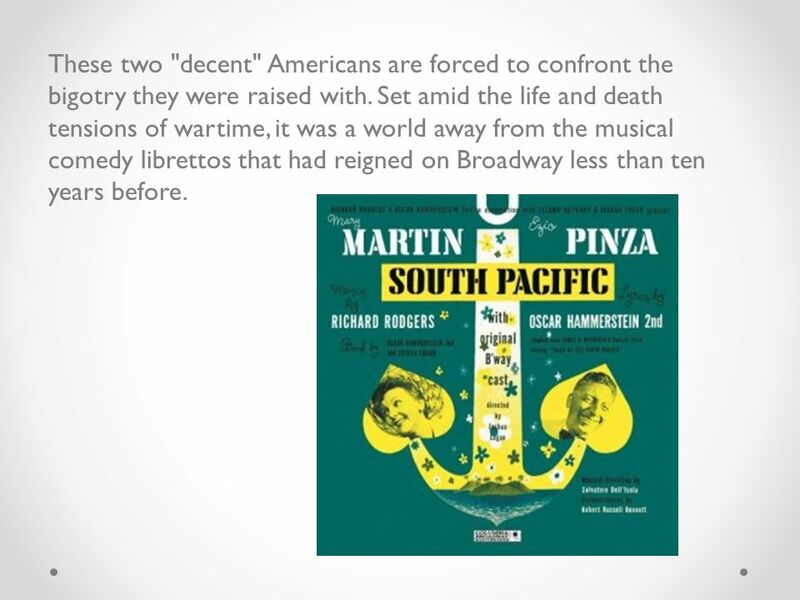 77 South Pacific confirmed Rodgers and Hammerstein's command of the genre. 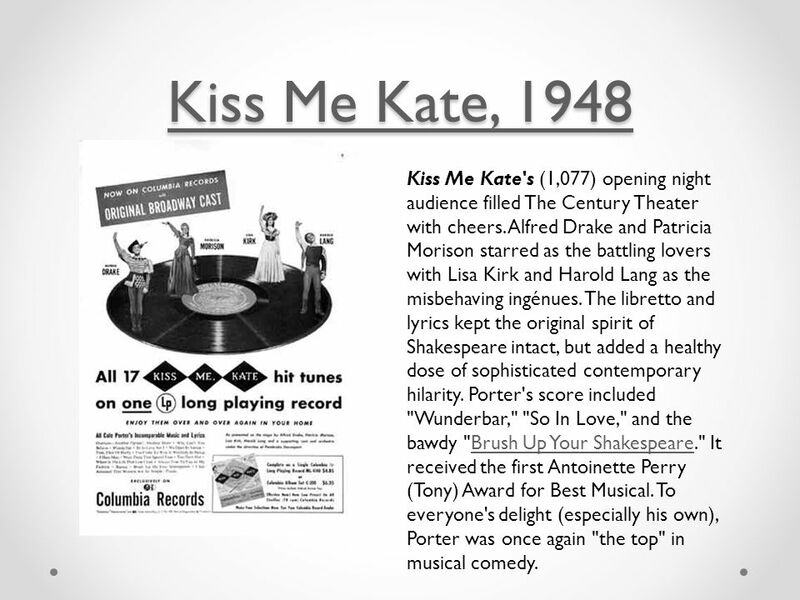 Along with worshipful reviews, it won the Tony for Best Musical and became the second musical to receive the Pulitzer Prize for Drama. 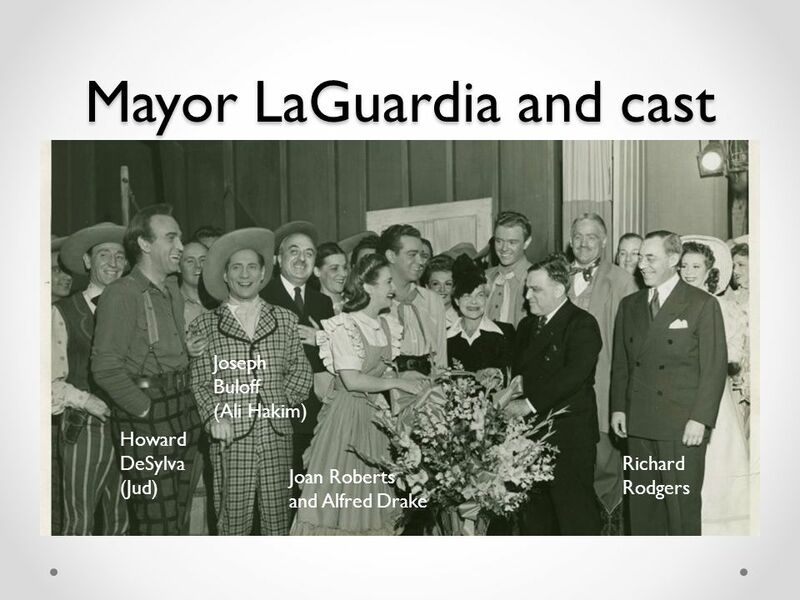 Tonys also went to the authors, as well as Pinza, Martin and other company members. 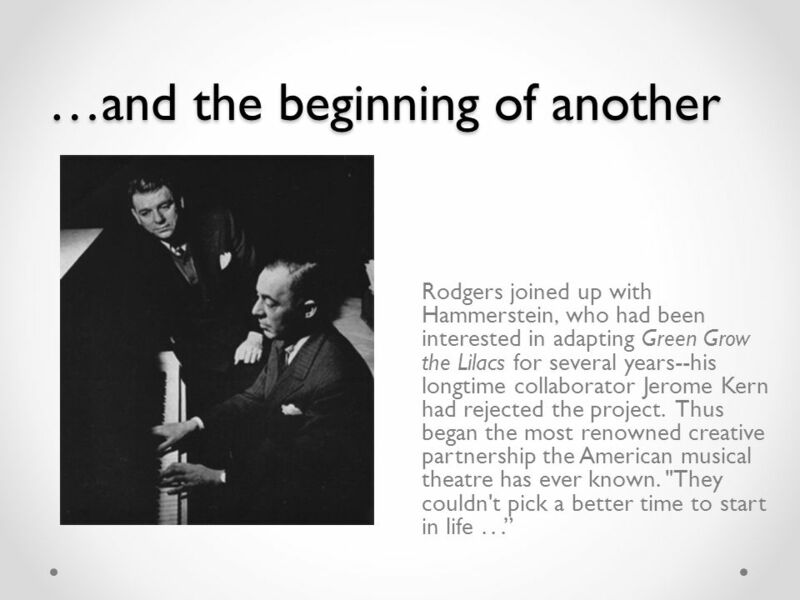 Rodgers & Hammerstein's knack for creating innovative and entertaining hits came to be called "The RH Factor," and it would keep them on top through the next decade. 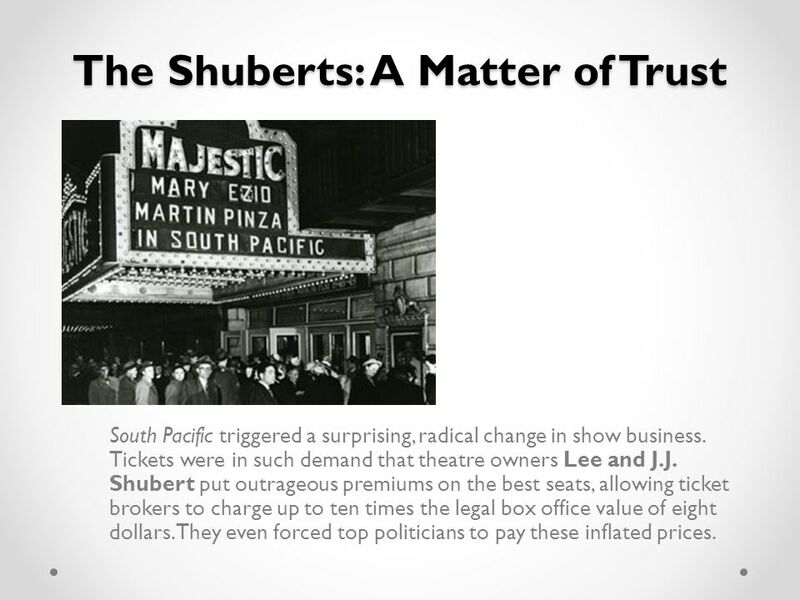 78 The Shuberts: A Matter of Trust South Pacific triggered a surprising, radical change in show business. 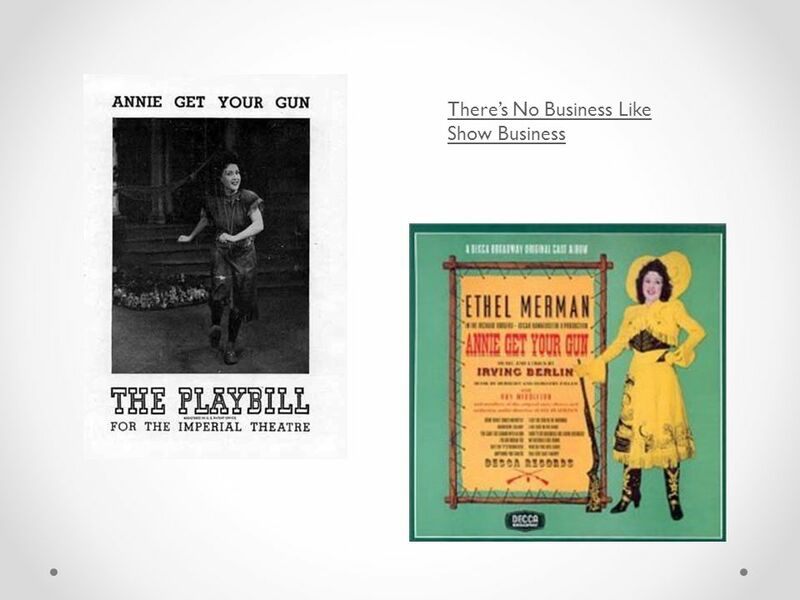 Tickets were in such demand that theatre owners Lee and J.J. Shubert put outrageous premiums on the best seats, allowing ticket brokers to charge up to ten times the legal box office value of eight dollars. They even forced top politicians to pay these inflated prices. 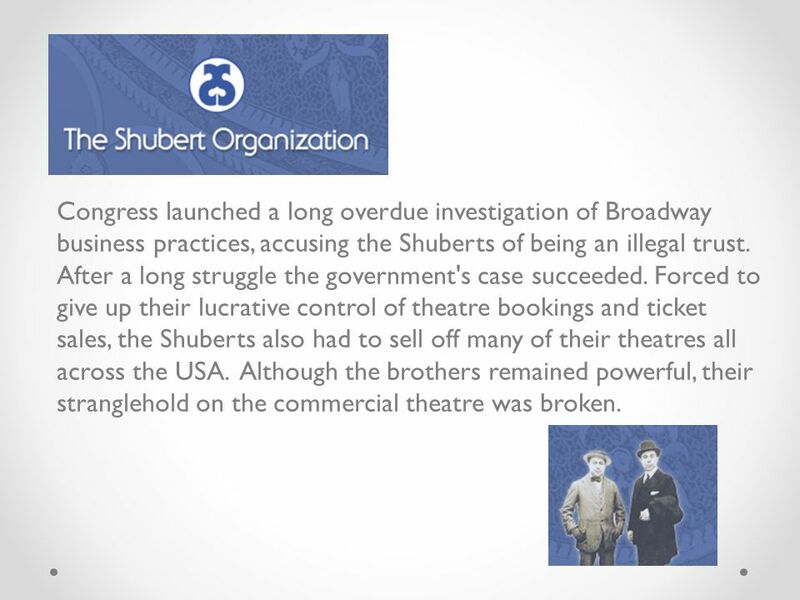 79 Congress launched a long overdue investigation of Broadway business practices, accusing the Shuberts of being an illegal trust. After a long struggle the government's case succeeded. 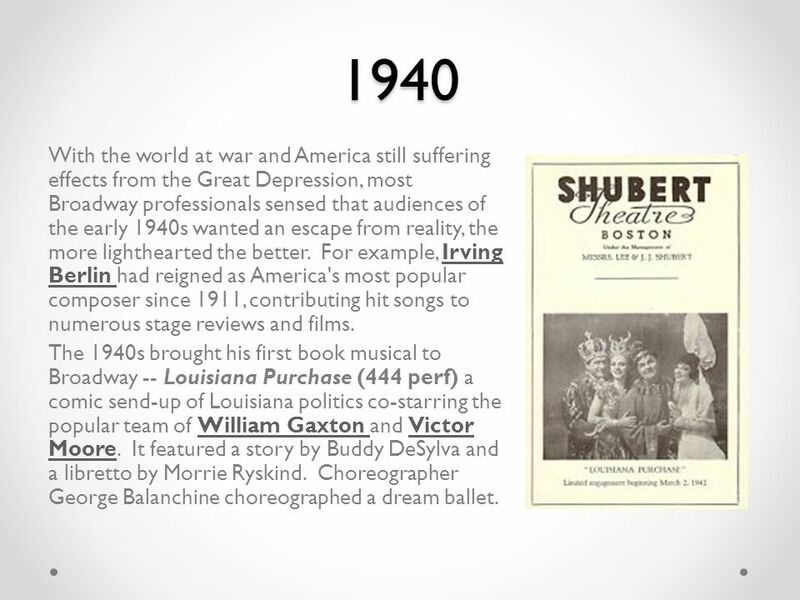 Forced to give up their lucrative control of theatre bookings and ticket sales, the Shuberts also had to sell off many of their theatres all across the USA. Although the brothers remained powerful, their stranglehold on the commercial theatre was broken. 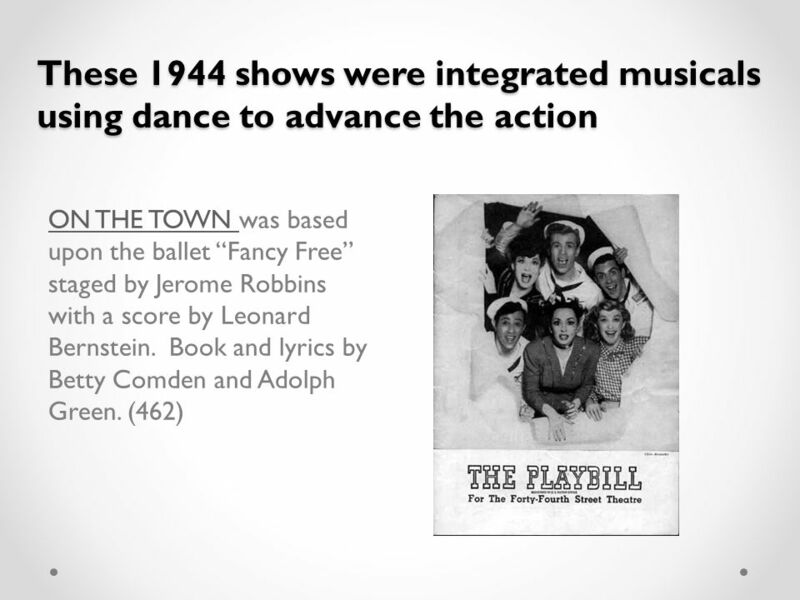 80 The 1940s had seen vast changes in the musical theatre, both as an art form and as a business. 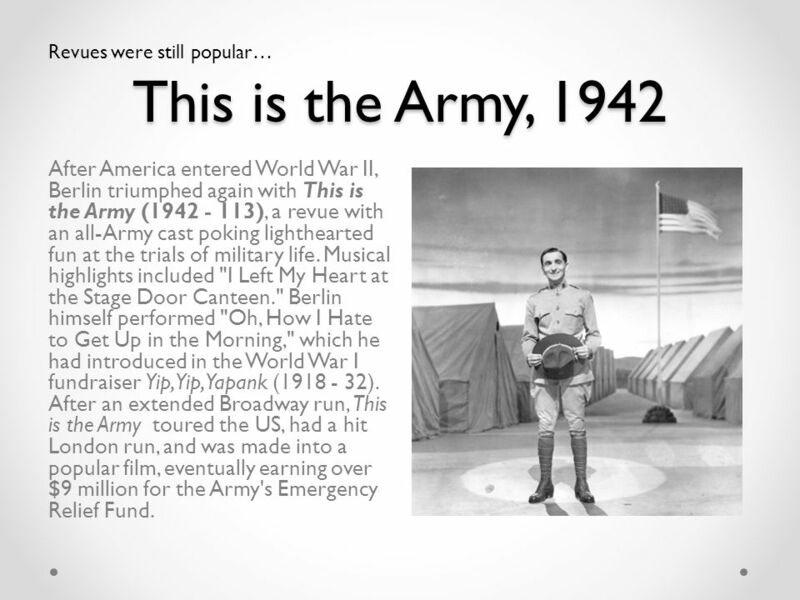 World War II had re-energized the American economy, and many great musicals appeared in the 1940s, particularly after Oklahoma (1943) redefined the genre. 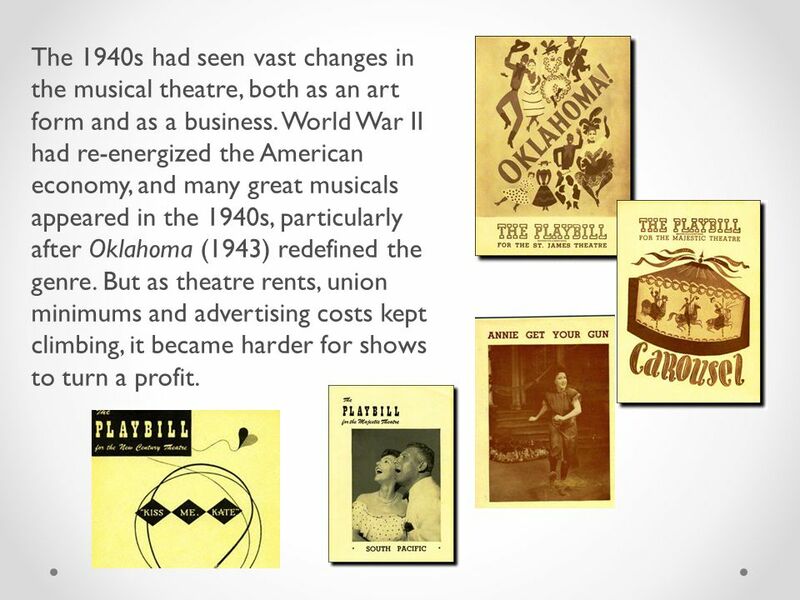 But as theatre rents, union minimums and advertising costs kept climbing, it became harder for shows to turn a profit. 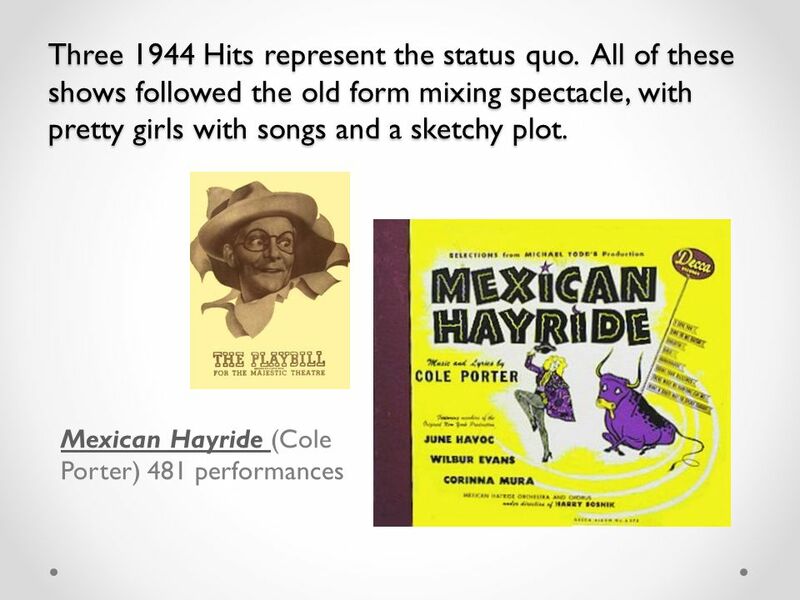 81 So even as the American musical enjoyed what many have called its "golden age," the number of Broadway productions continued a gradual decline. This decline was easy to overlook in the decade that followed. 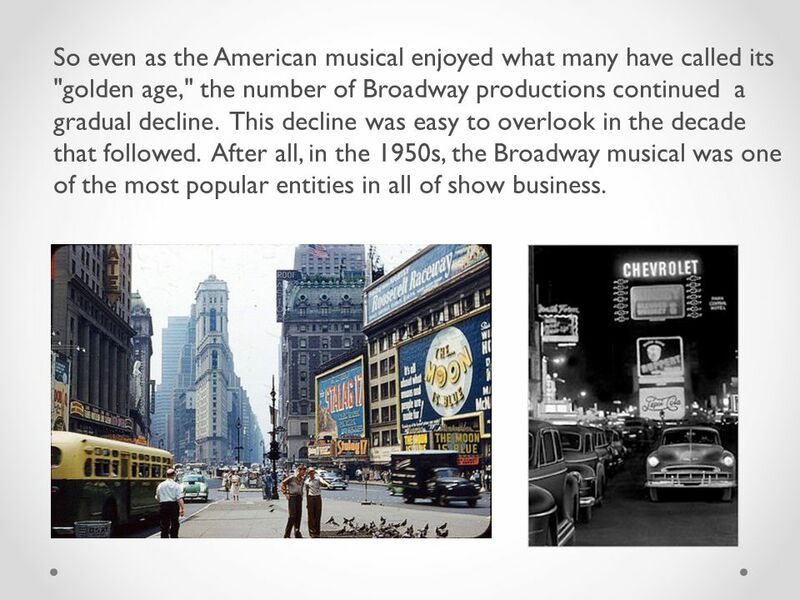 After all, in the 1950s, the Broadway musical was one of the most popular entities in all of show business. 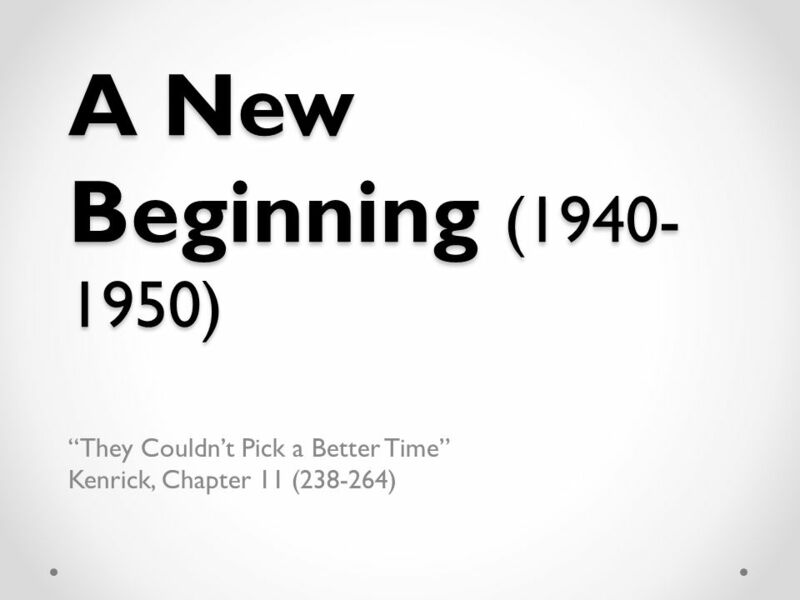 Download ppt "A New Beginning (1940- 1950) “They Couldn’t Pick a Better Time” Kenrick, Chapter 11 (238-264)"
By Elijah Ross Hatfield. Setting 1.William’s house 2.The Castle 3.The dark woods 4.Alastor's Castle. 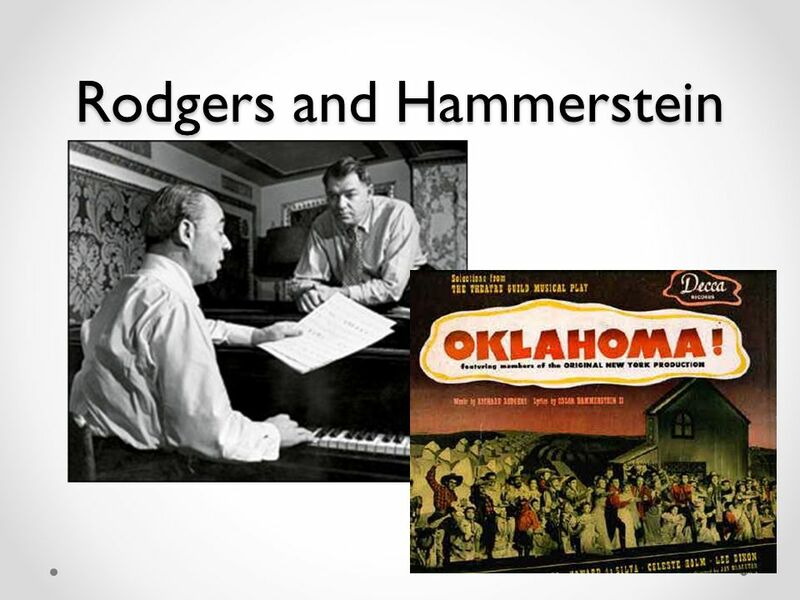 Oklahoma Composer: Richard Rodgers Lyricist: Oscar Hammererstein II. 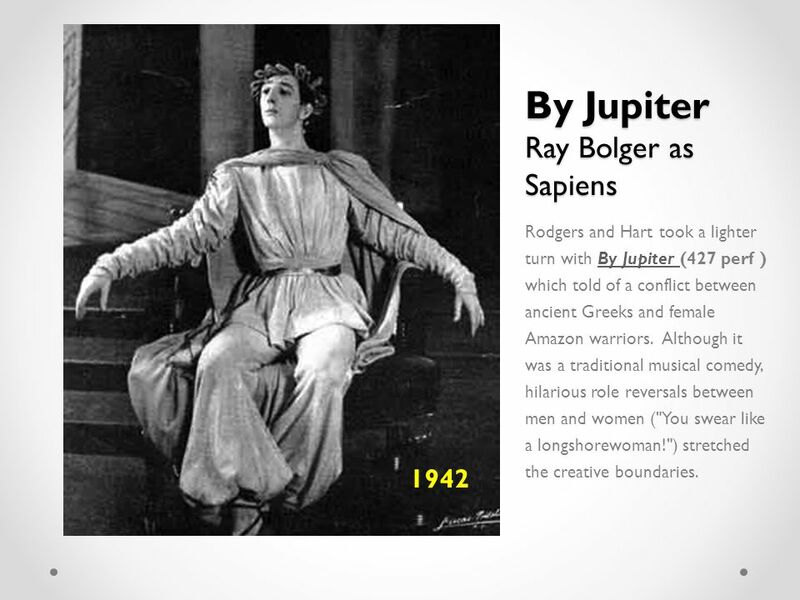 The beginning of the Golden Age of musicals…. The Details…. 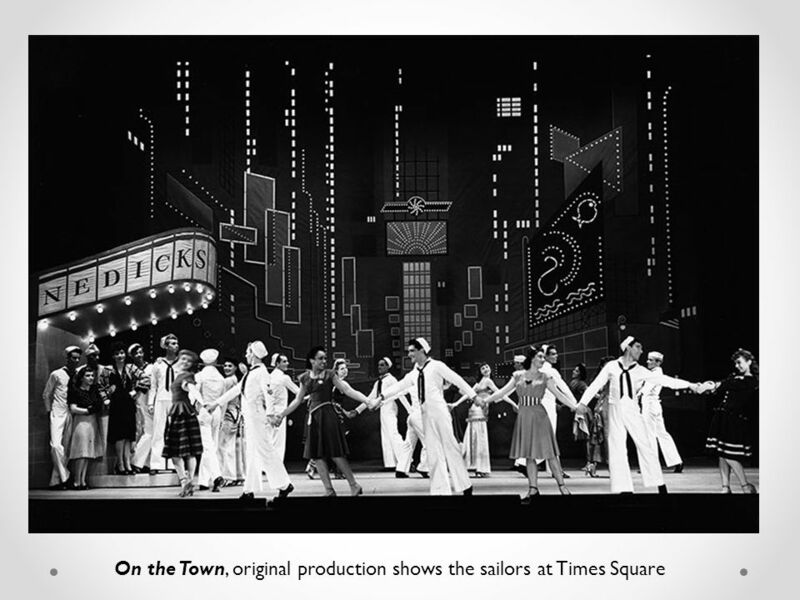 Opened March 31, 1943 at the St. James Theater on Broadway Ran for an unprecedented 2,212. Written by John Steinbeck Read by Katie Deller. Hi I’m Katie Deller and I have chosen to read the novella The Red Pony written by John Steinbeck for my. 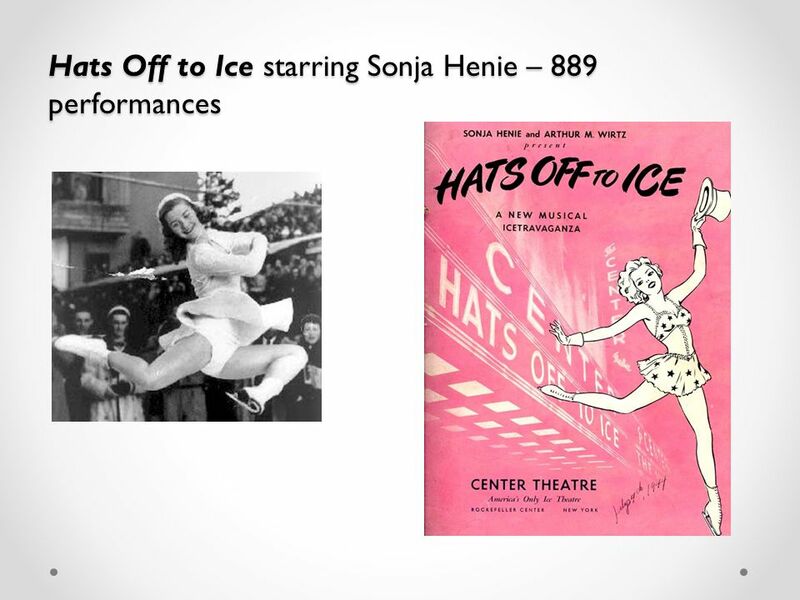 Bell Work Take out a sheet of paper Write down these 5 terms, make sure to leave space in between each term:  Opera  Operetta  Vaudeville  Musical. Born into an upper-class family in St. Paul, Minnesota in Was encouraged to become a writer at the age of 15, and seriously began to hone his craft.  African and Caribbean Traditions, Songs and Dances were brought to the US through the slave trade. 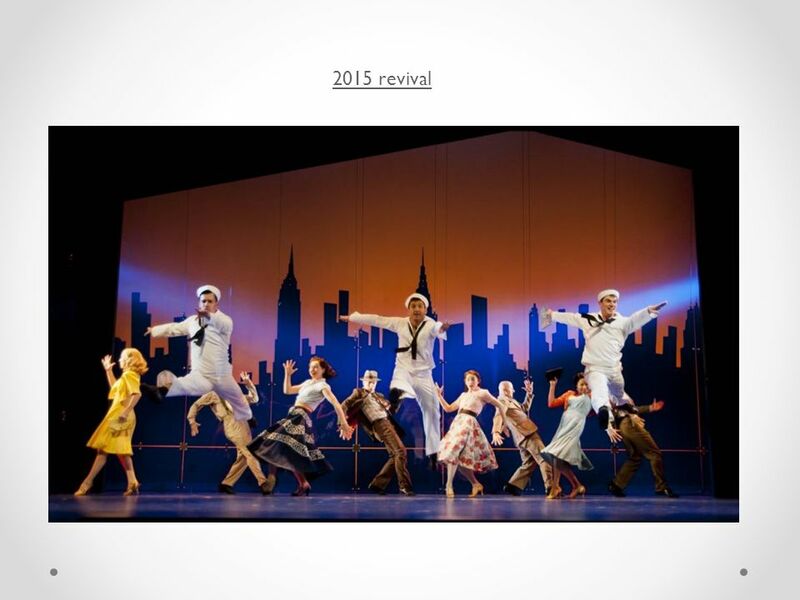  Jazz Dance is an American art form that was greatly. Chapter 13 The Musical. 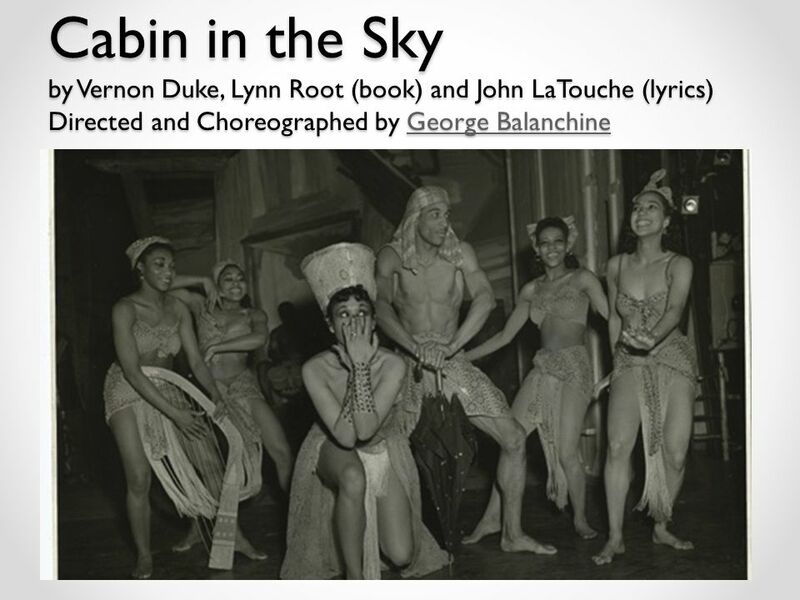 On Musicals American musical theatre is our indigenous art form. 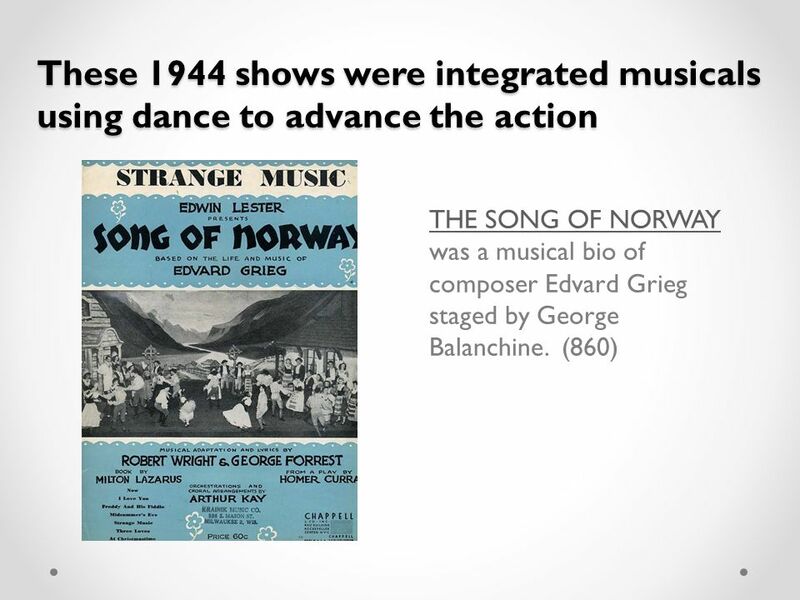 We can’t claim drama, ballet, or opera, but musical theatre is. 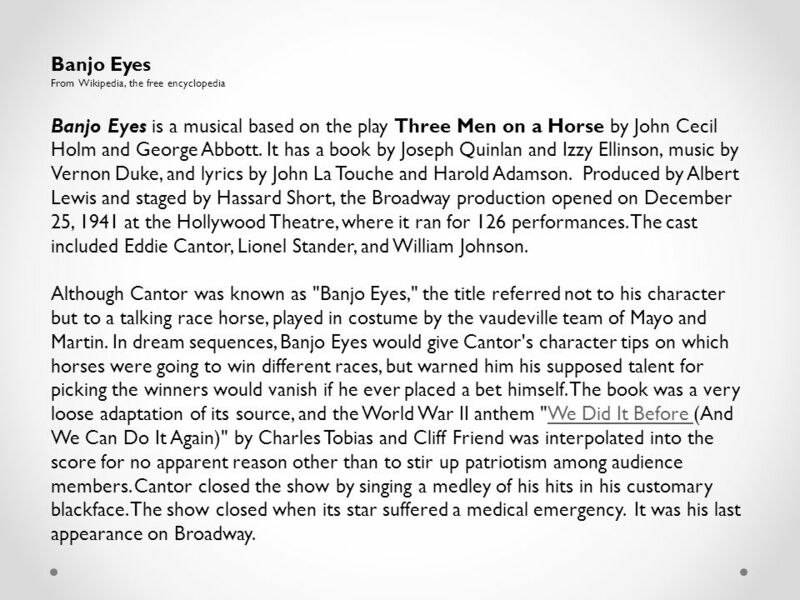 Harold Prince. 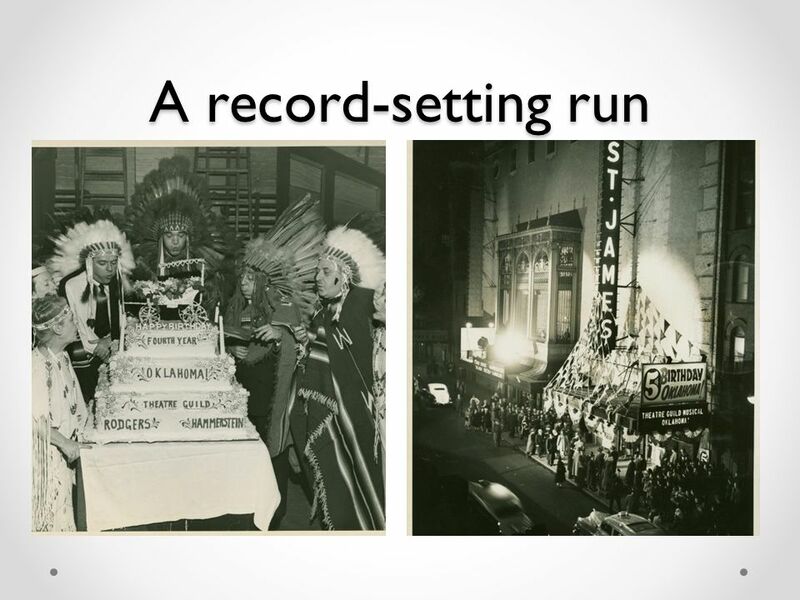 In the Beginning Prince started as an Assistant Stage Manager in the 1950’s. His first known shows were Tickets, Please! (1950) And Call. Rock & roll: the 1950’s elvis presley, chuck berry, little richard, buddy holly, carl perkins, jerry lee lewis, fats domino, the everly bros., james brown. Musicals What are they? 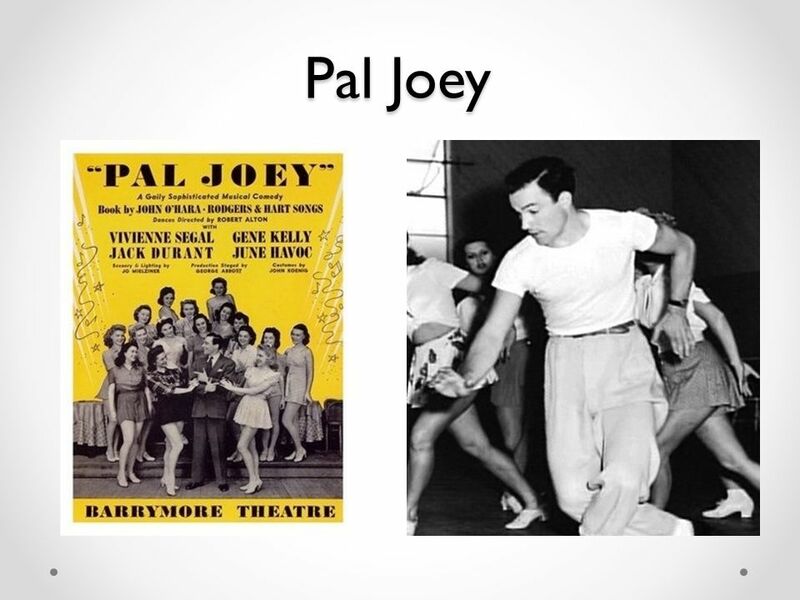 Who are some famous performers in musicals? George Gershwin. His Family His father immigrated from Russia to the US in His father Morris was looking to find a girl, Rose Bruskin, that he met. William Shakespeare was the son of John Shakespeare and Mary Arden. 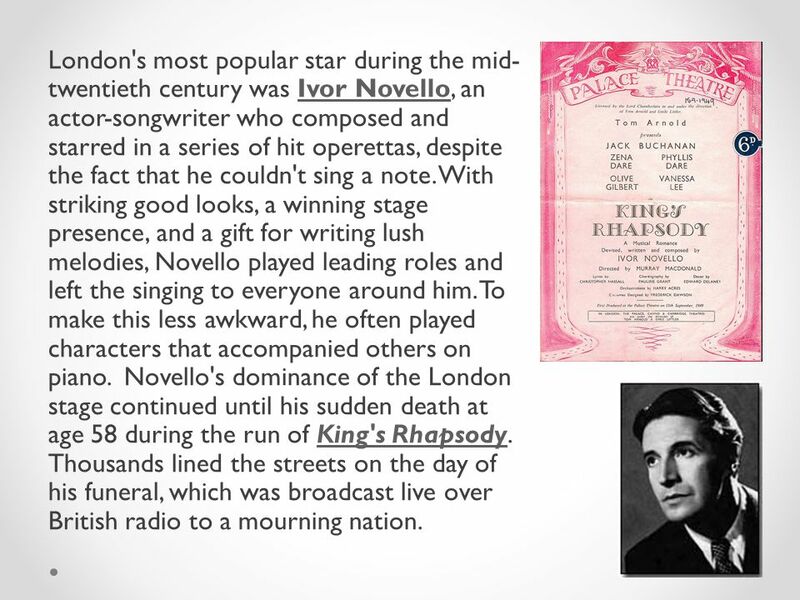 He was born on or near April 23, 1564 in Stratford-upon-Avon, London. At the age of. Rumpelstiltskin Once there was a very poor miller, who could not even pay his taxes to the kingdom. Because of this, the king ordered. Bell Work Remembering our Entrance Procedures: ◦ Go directly to your seat ◦ Place your belongings under your chair When finished, Set up a piece of paper. 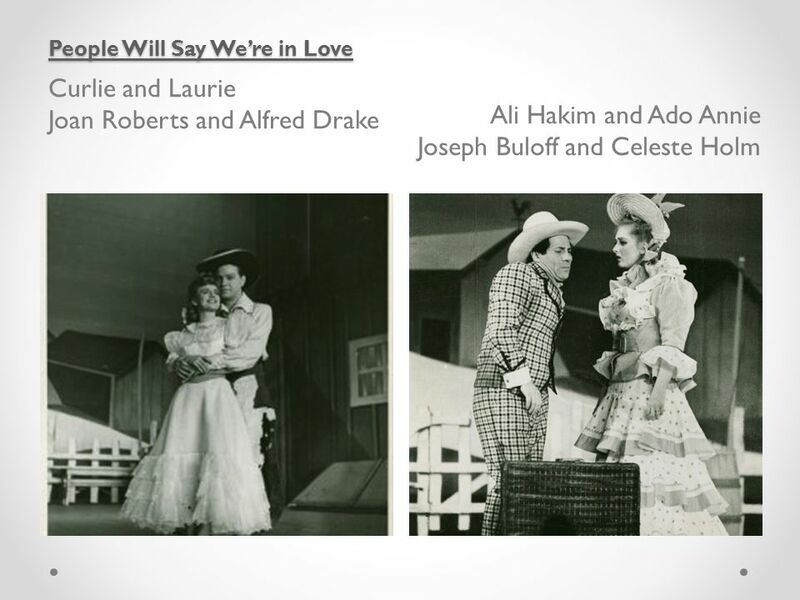 Rodgers & Hammerstein By: Anna, Hanna, & Skyler. 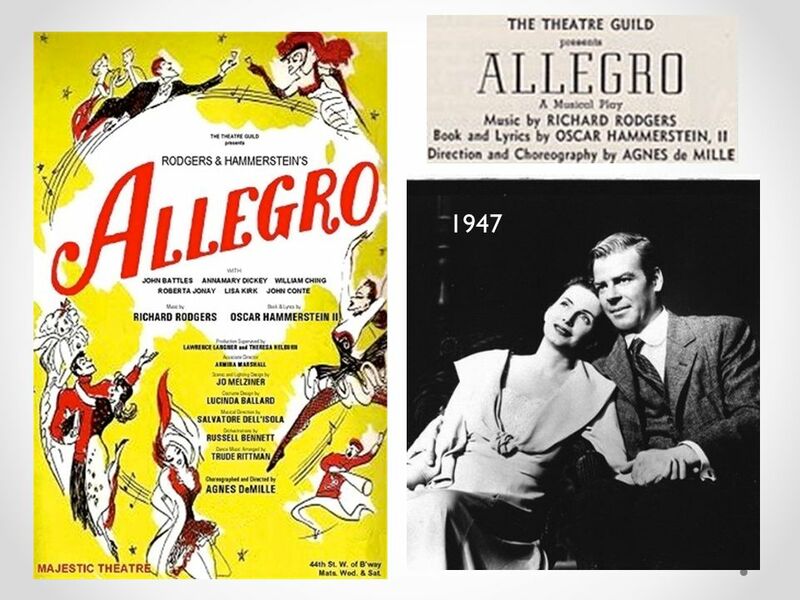 Richard Rodgers Born June 28, 1902 in New York, New York Born June 28, 1902 in New York, New York Died.